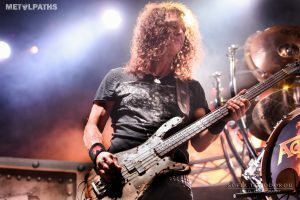 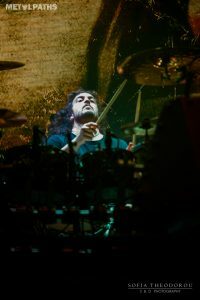 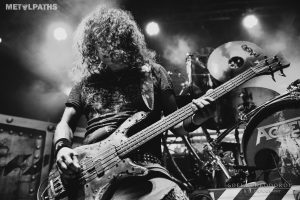 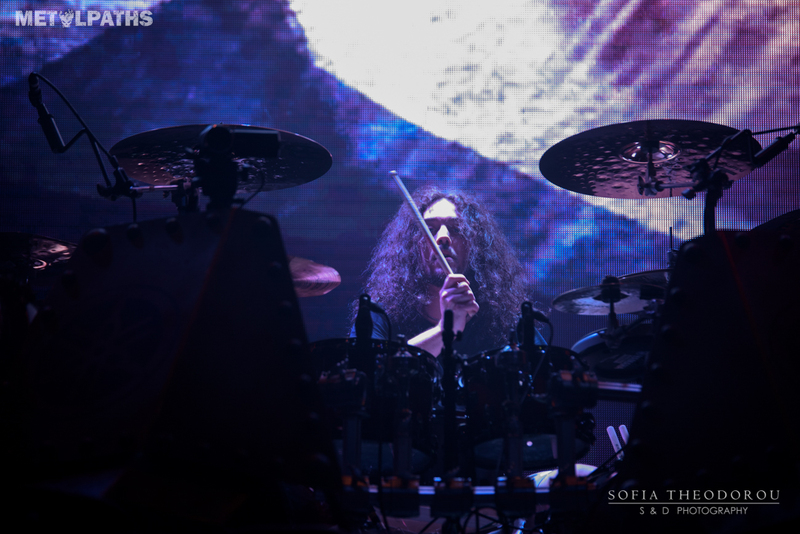 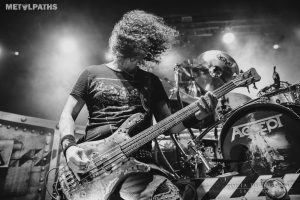 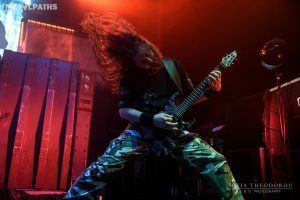 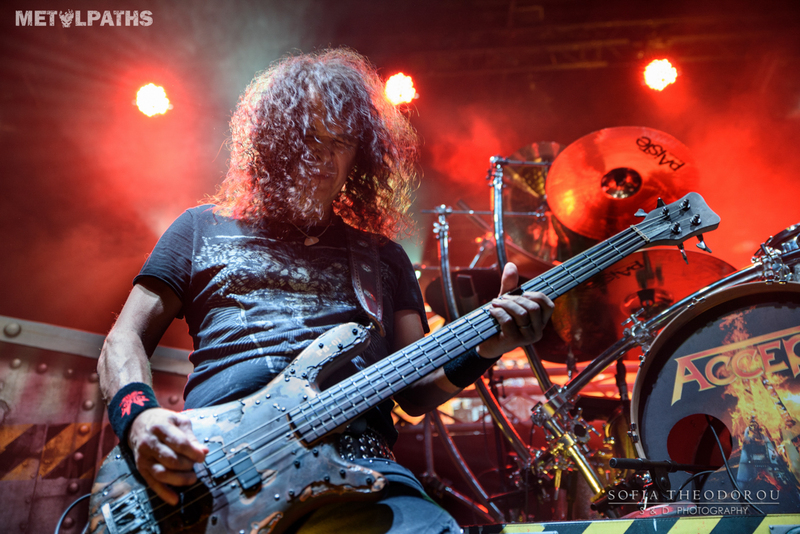 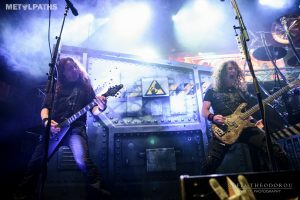 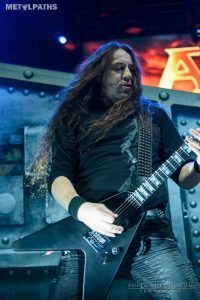 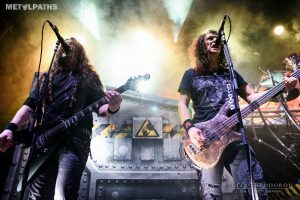 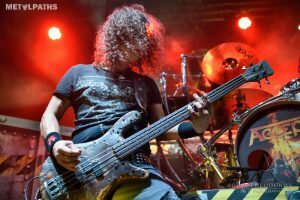 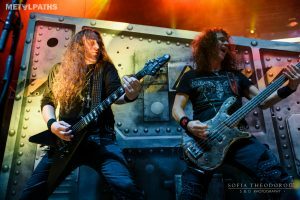 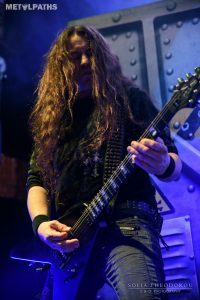 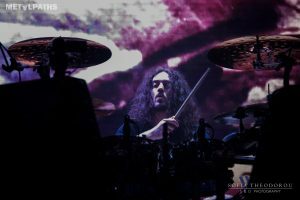 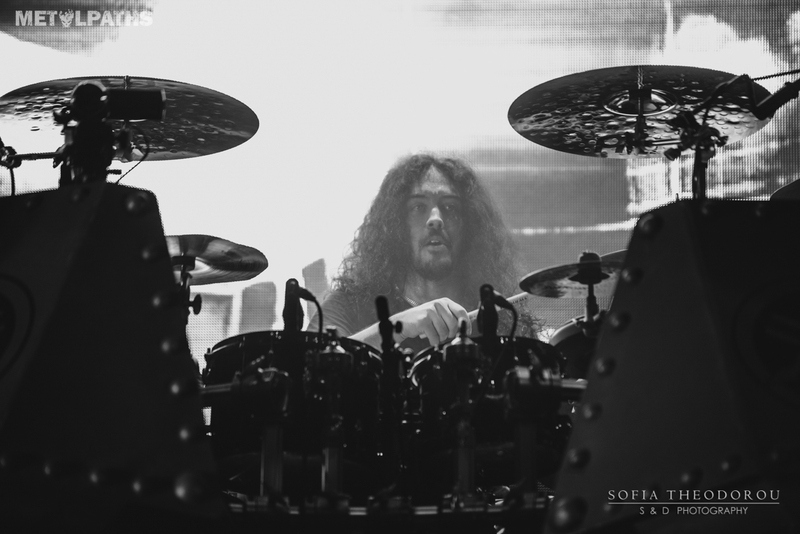 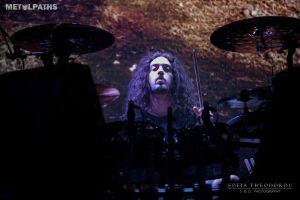 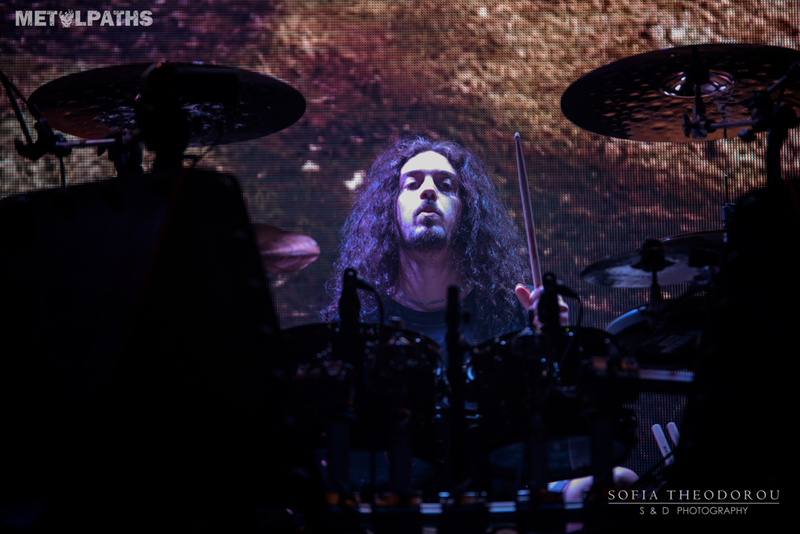 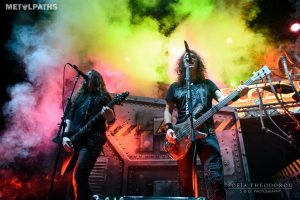 It was a rainy Wednesday night of March, and we were heading down to Piraeus Academy for one of the greatest gigs of 2017. 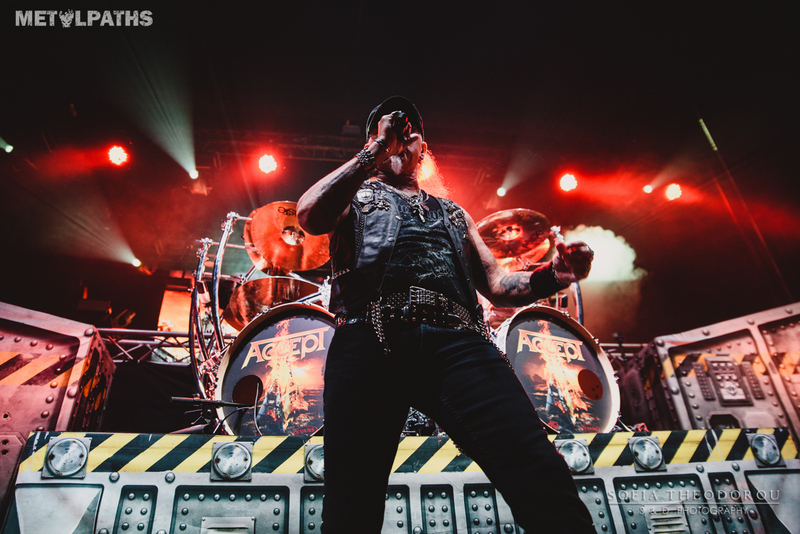 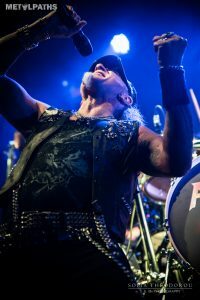 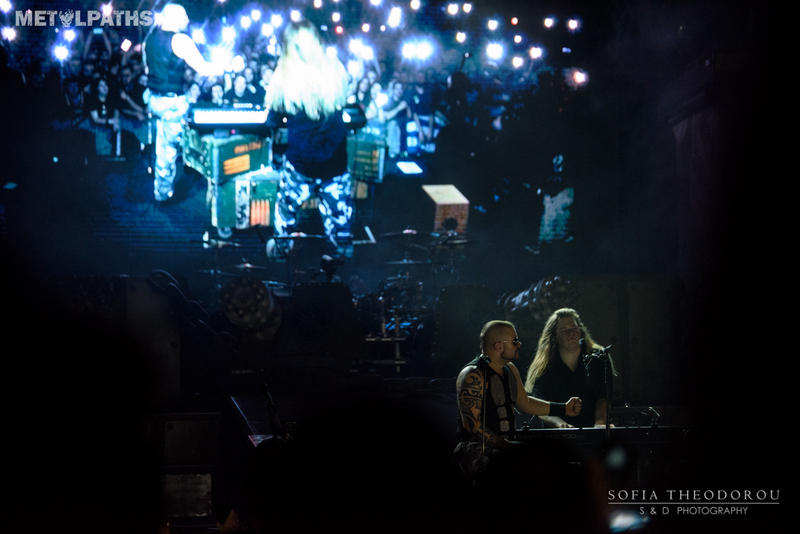 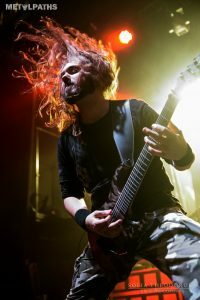 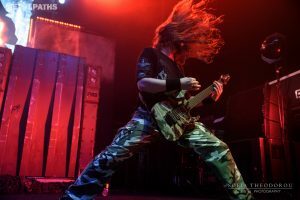 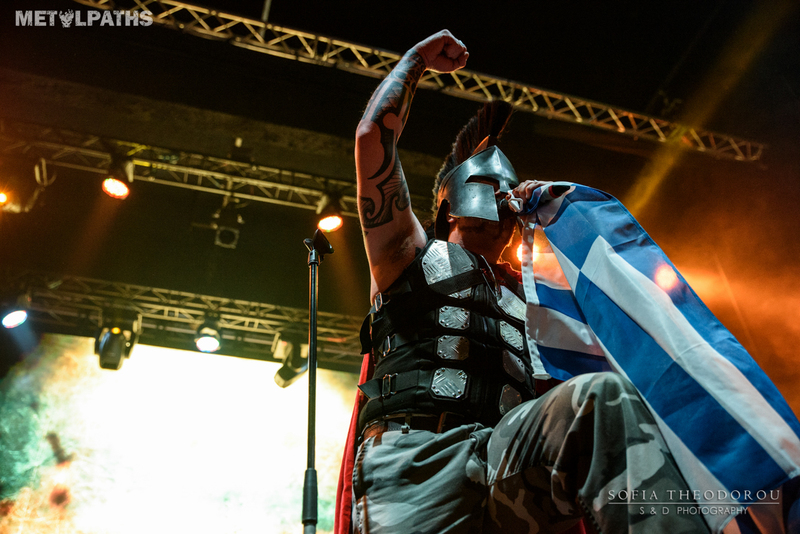 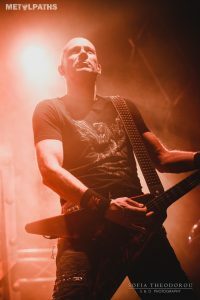 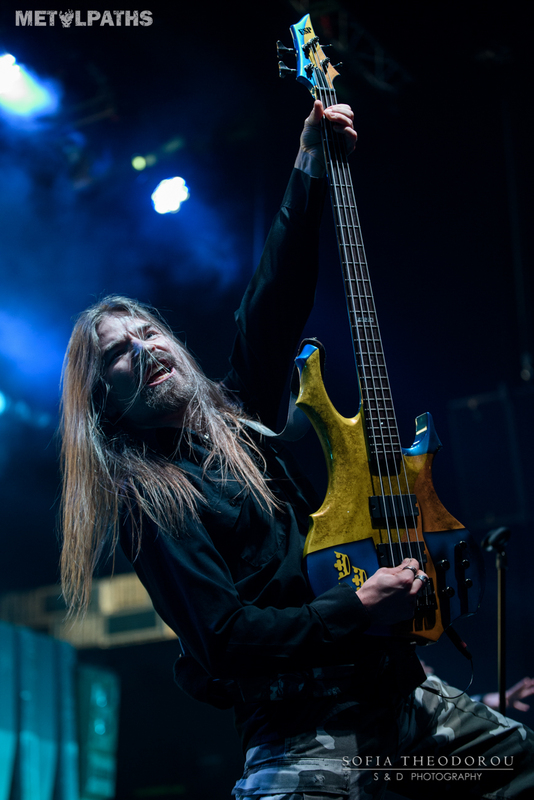 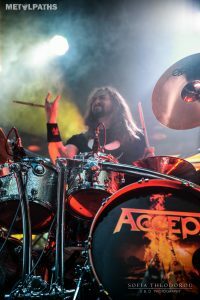 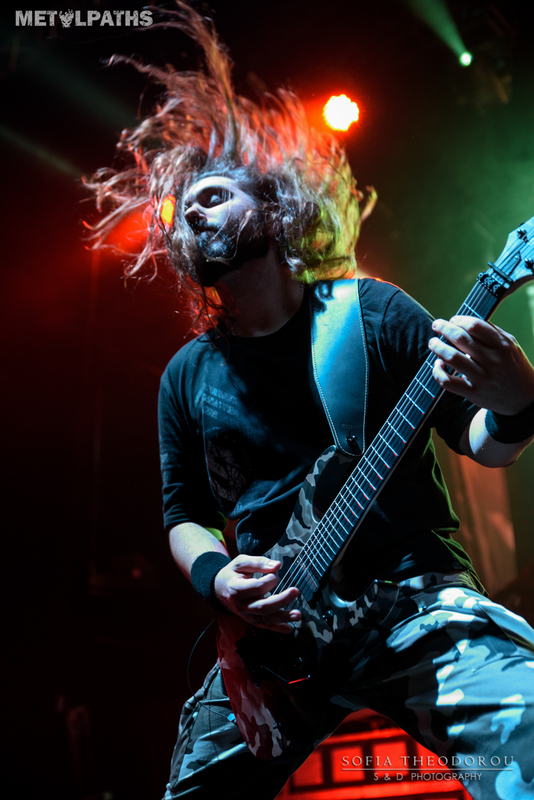 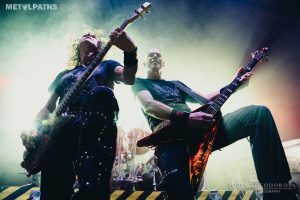 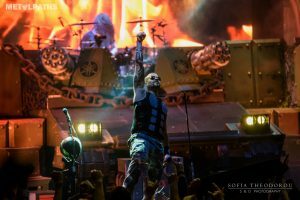 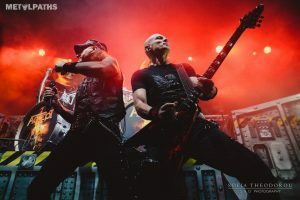 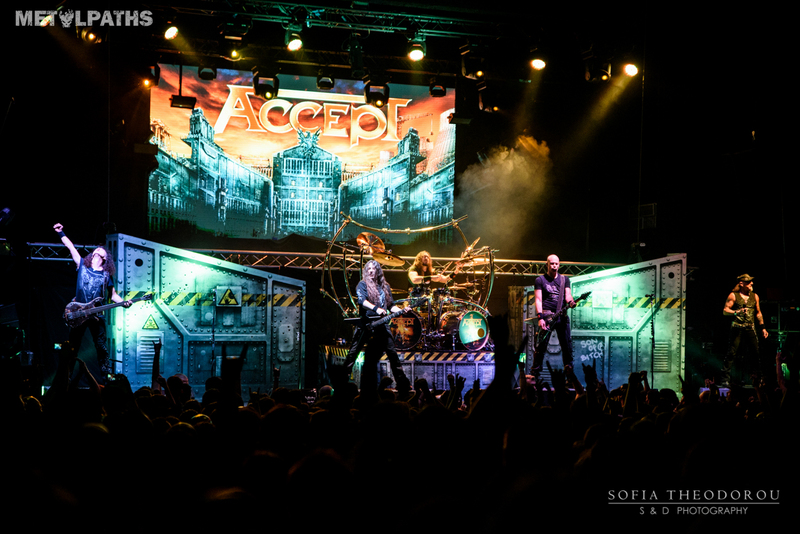 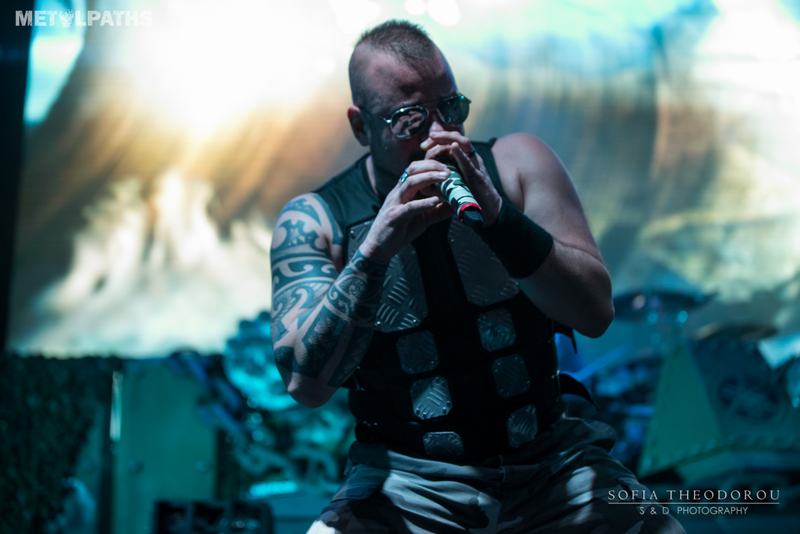 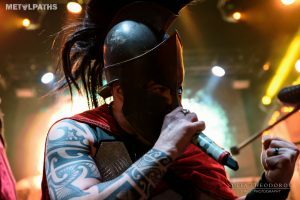 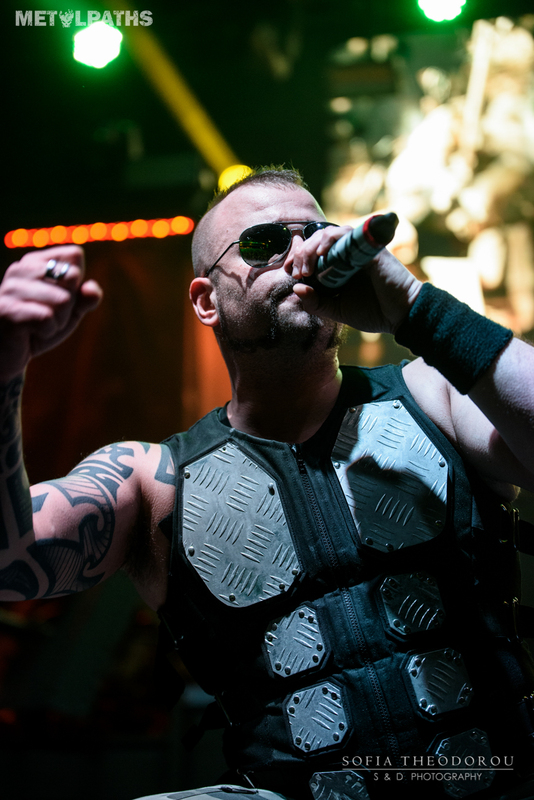 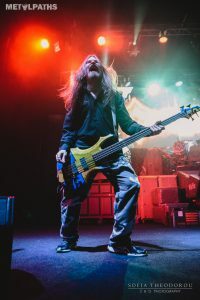 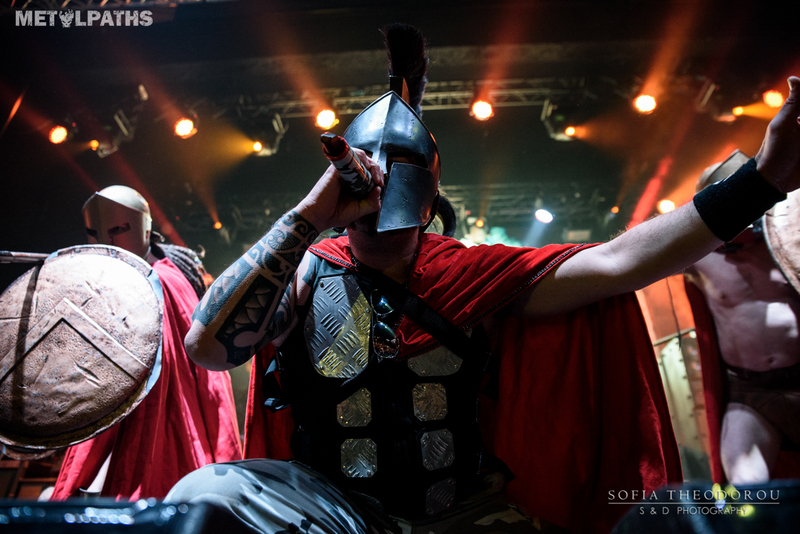 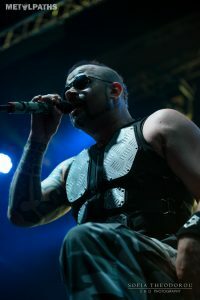 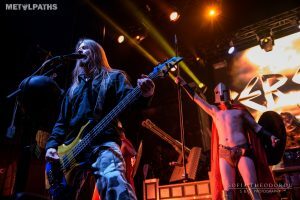 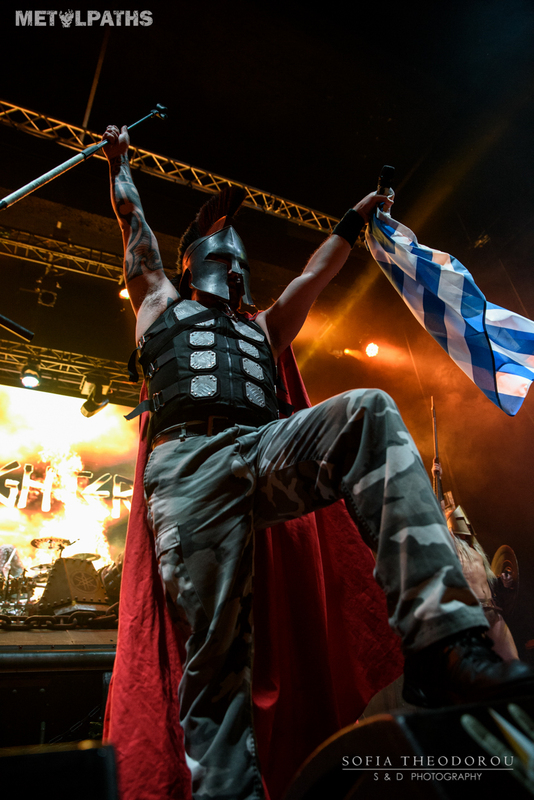 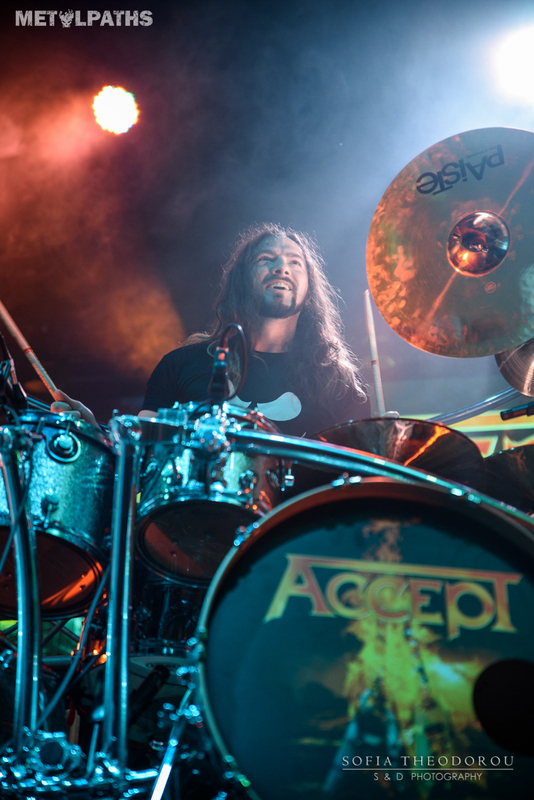 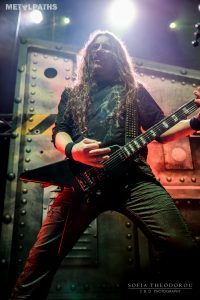 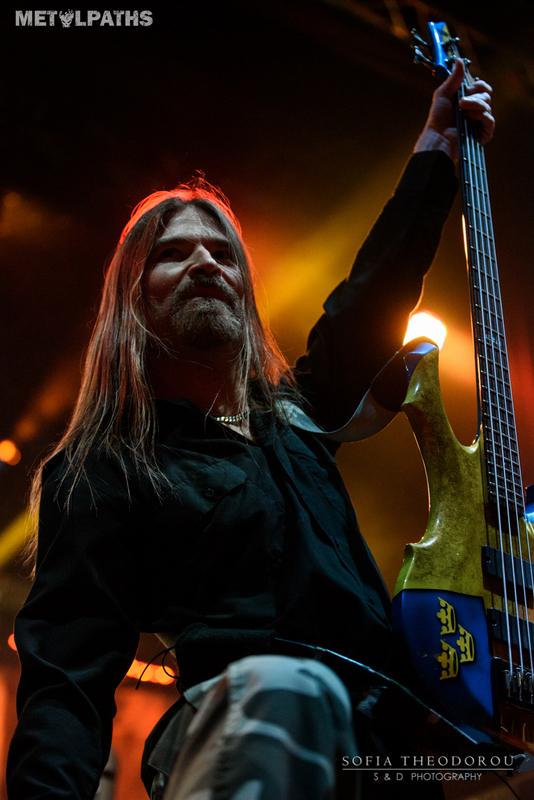 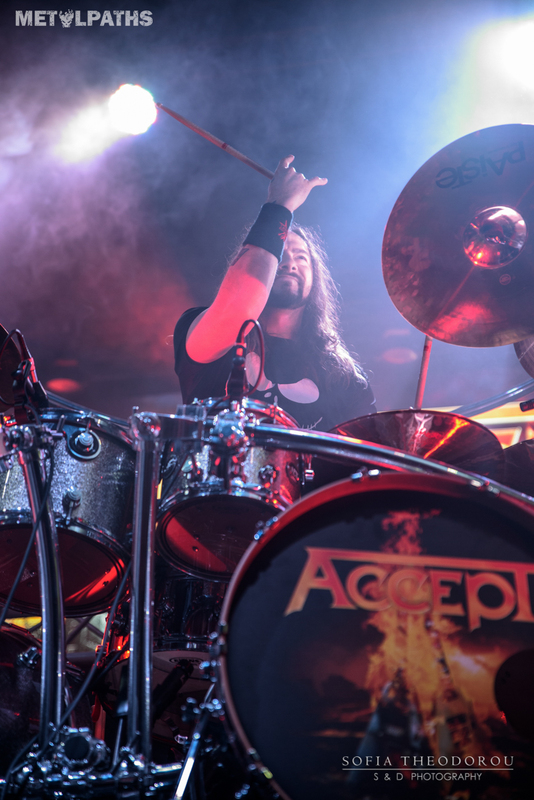 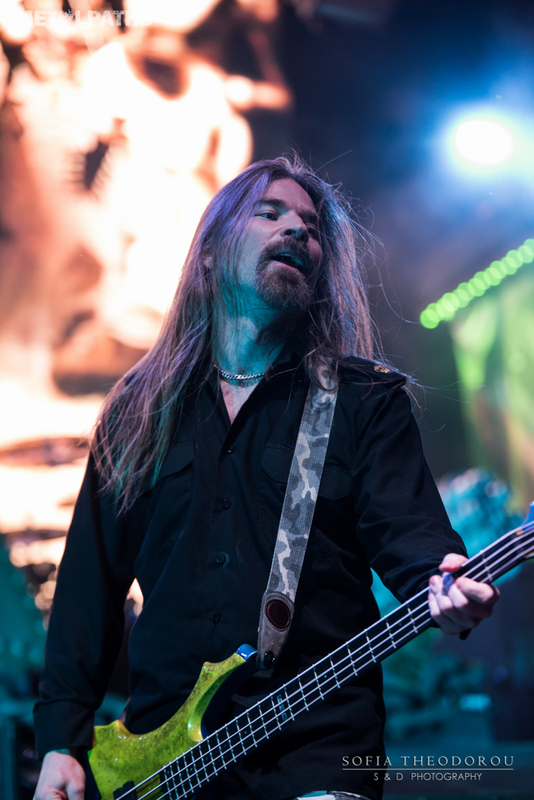 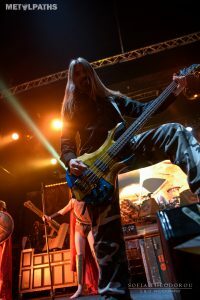 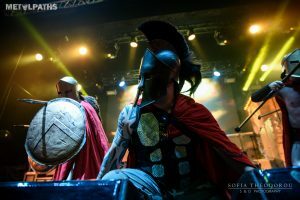 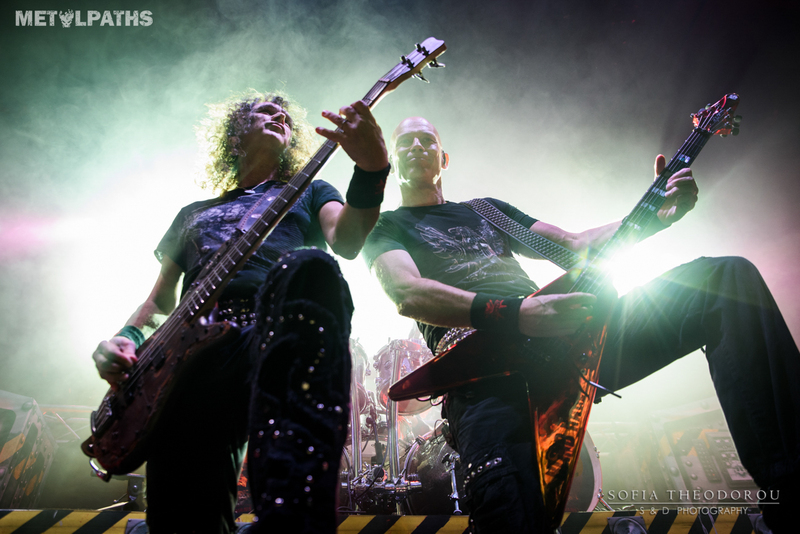 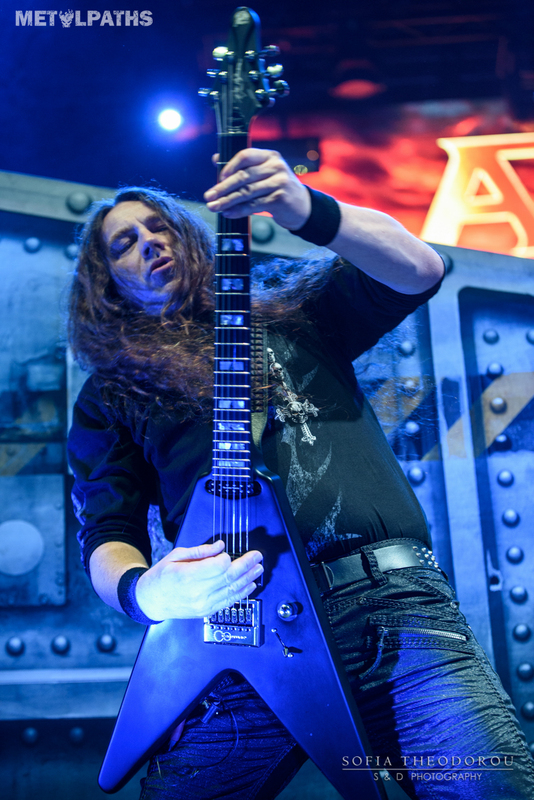 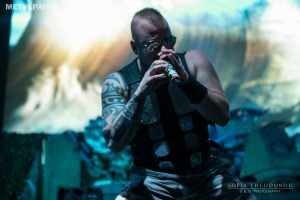 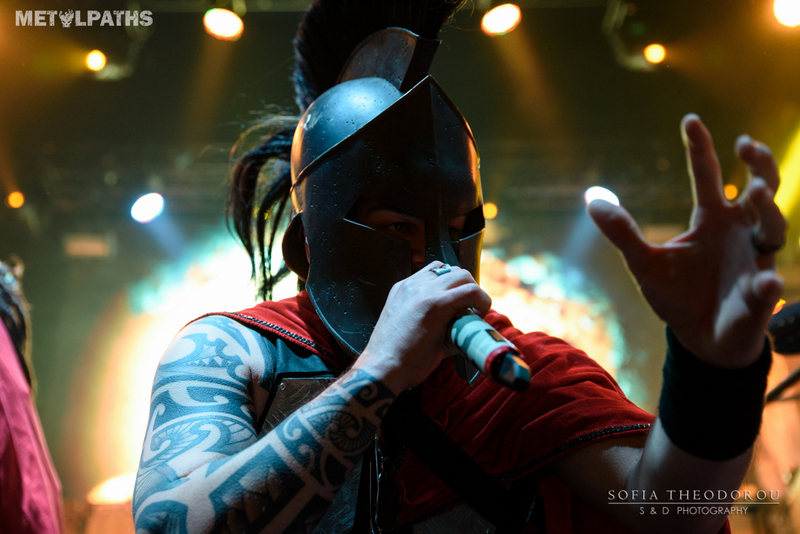 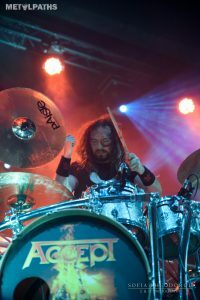 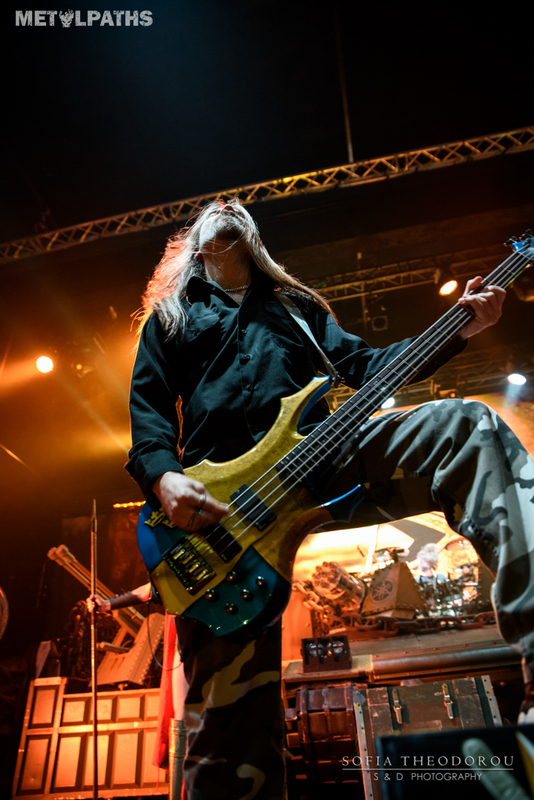 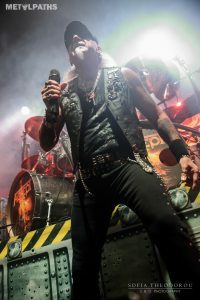 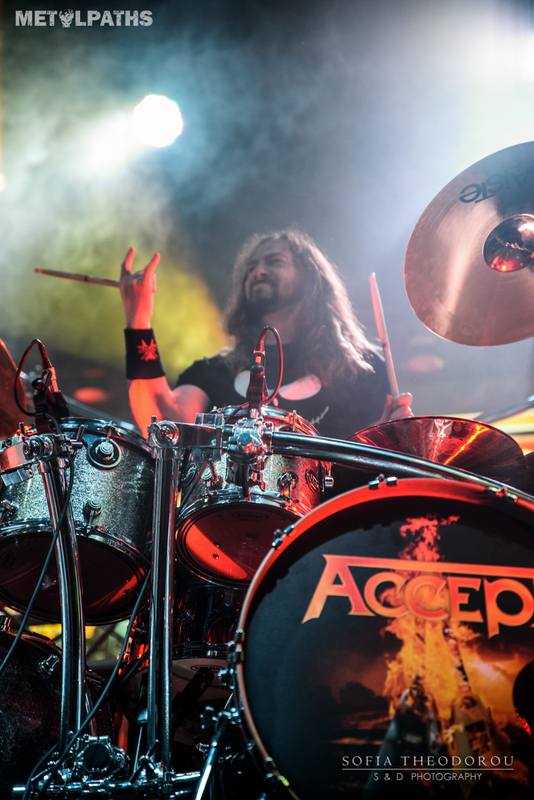 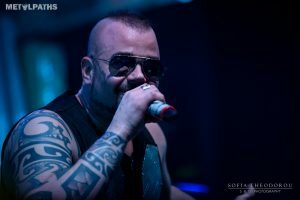 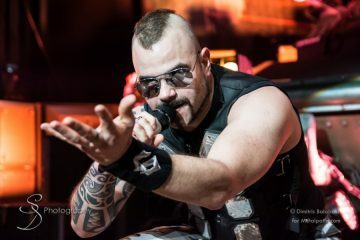 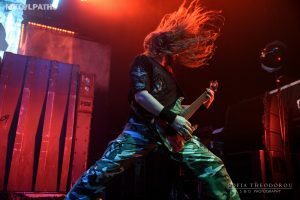 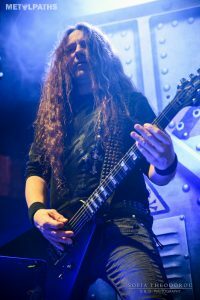 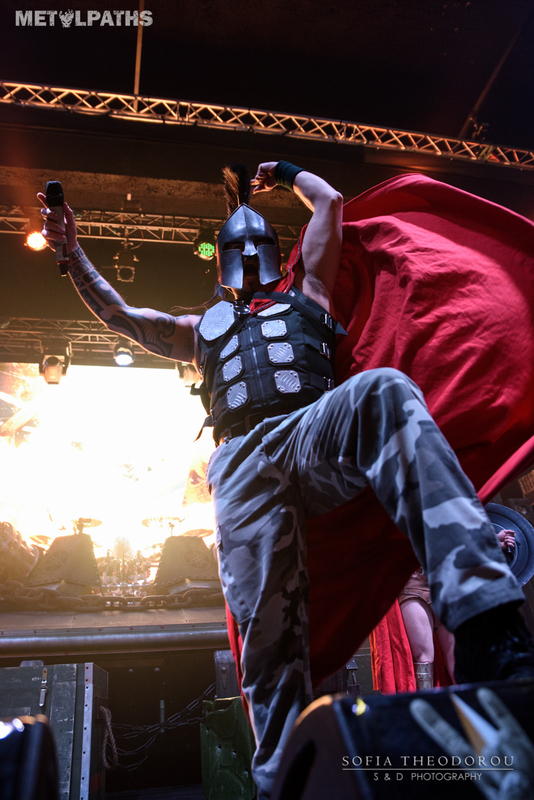 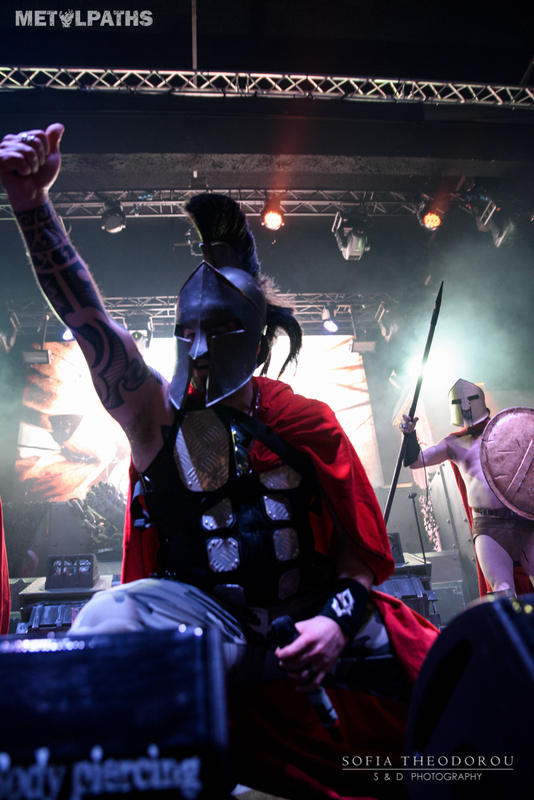 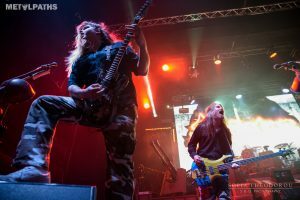 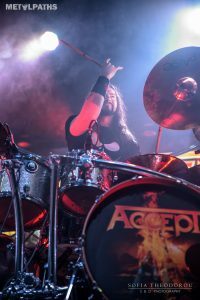 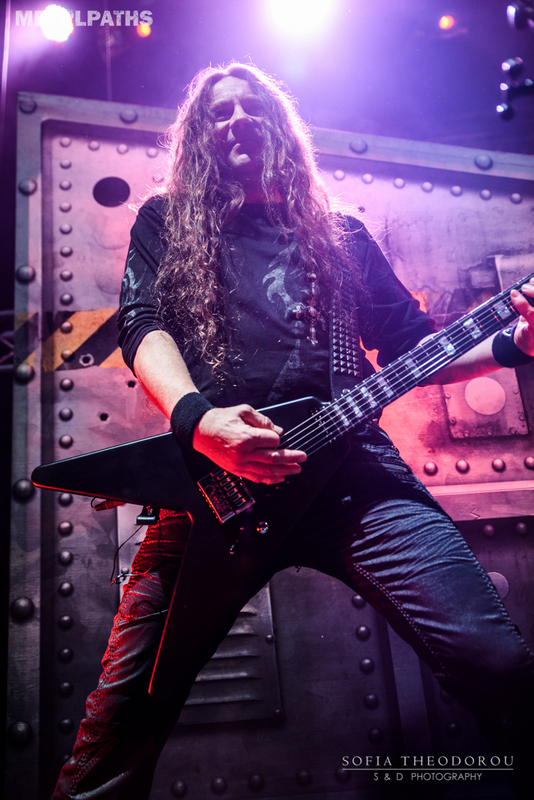 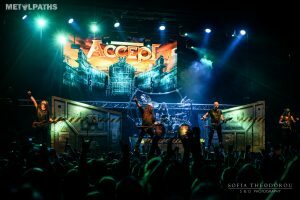 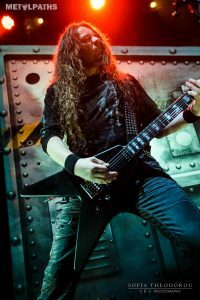 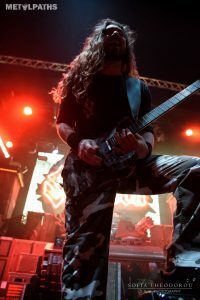 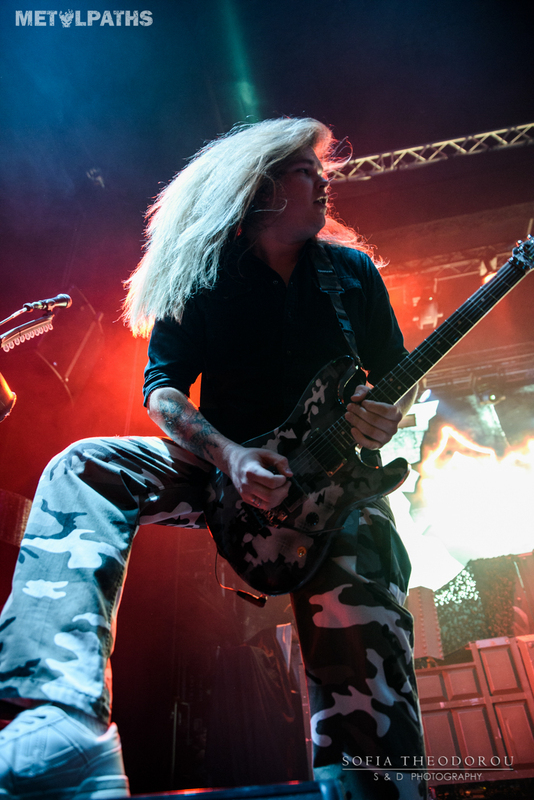 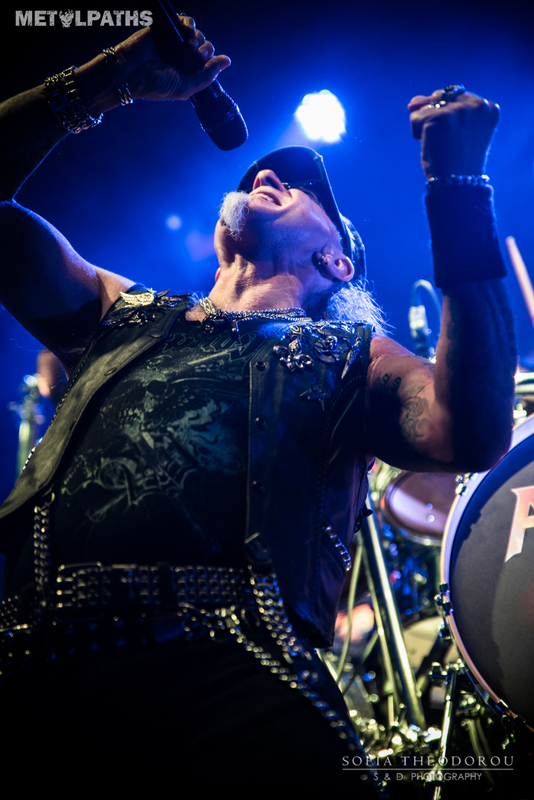 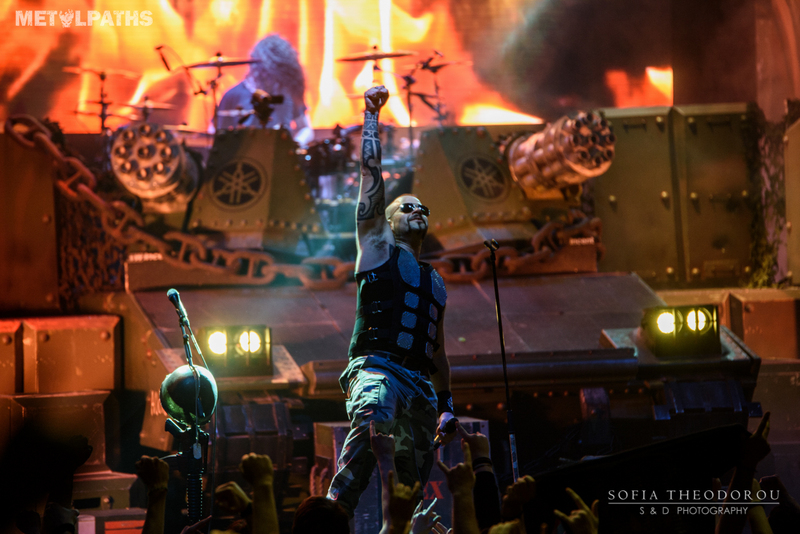 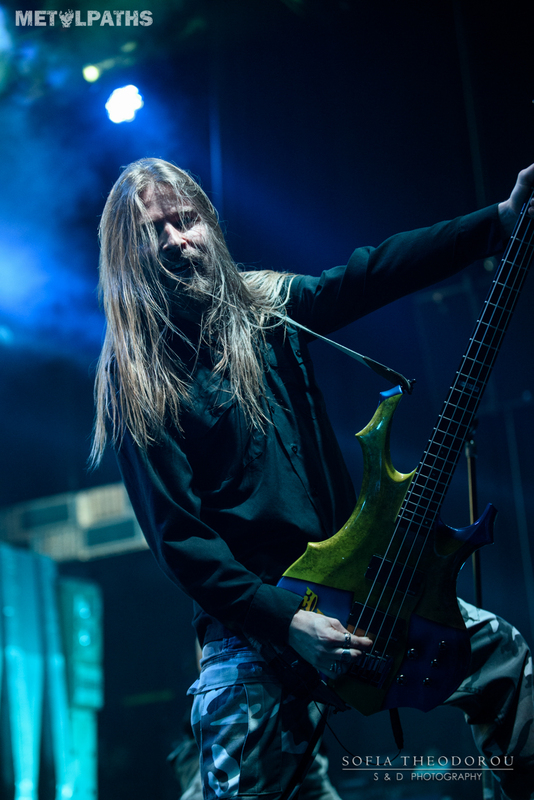 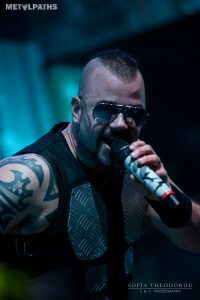 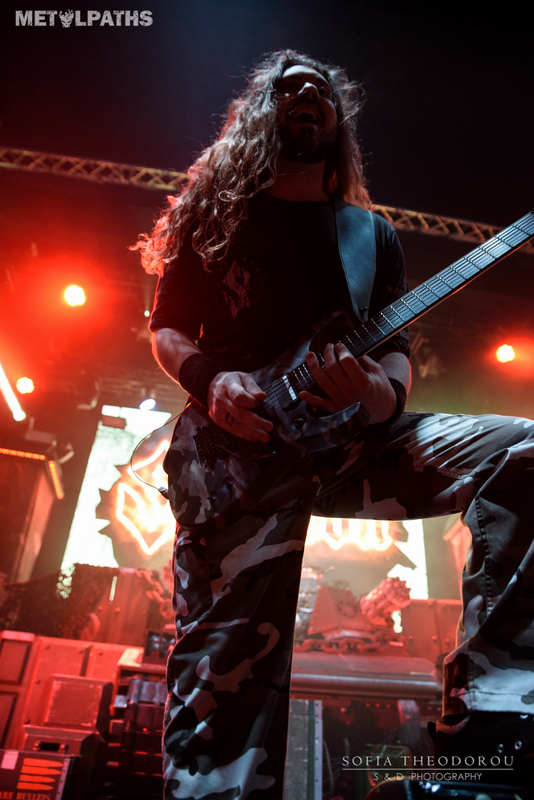 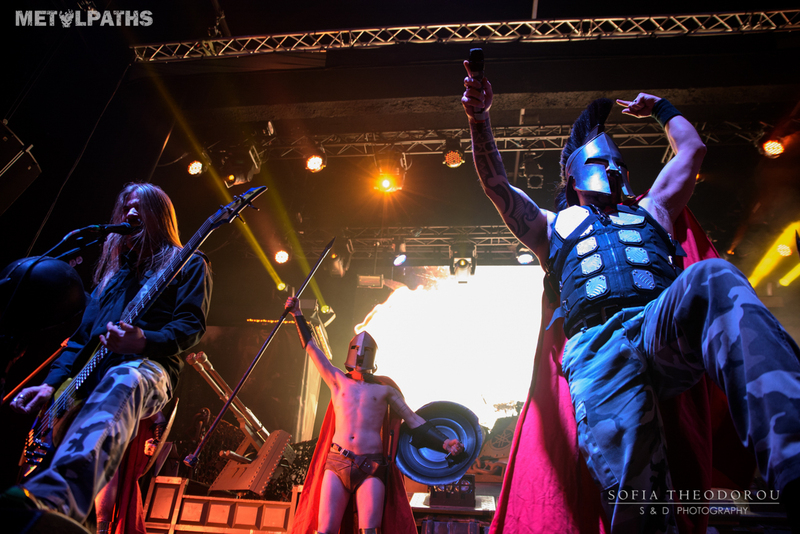 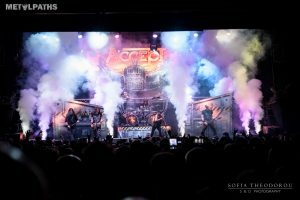 Swedish power metallers Sabaton along with the mighty Accept and Twilight Force would return to Greece for two shows, and Athens would be the first Greek stop of the tour. One of the things I immediately noticed while walking into Piraeus Academy at 20:00 when Twilight Force were getting on stage, was how jam-packed the venue was! You see, it’s always a big bet for a newcomer band to play in front of a bigger audience. 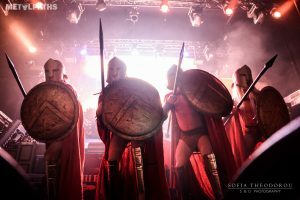 If they’re good entertainers, it adds up to the great atmosphere and well, if they’re not, it creates an awkward state for the audience. For TWILIGHT FORCE it was so easy to do the first, as they are natural born entertainers! 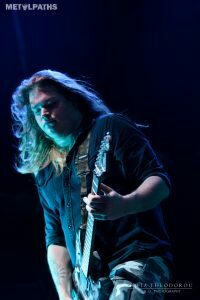 They got even the non-fans of the band (writer included) into them, since their brand of symphonic power metal was very convincing. 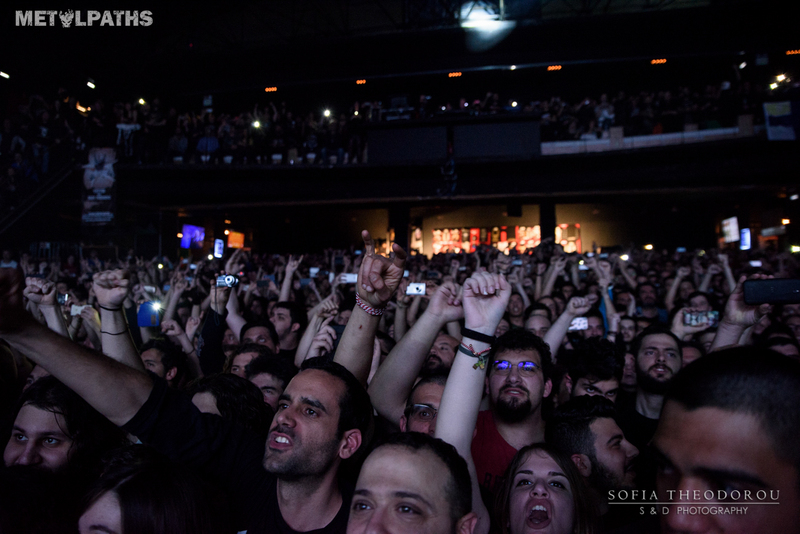 And that is the ultimate objective of playing in a larger crowd: gaining the crowds’ support and love. Also, I truly enjoyed that little sing-along game between the frontman and the keyboard player (who sounded like a Lord Of The Rings villain), the “good vs evil” type of thing. 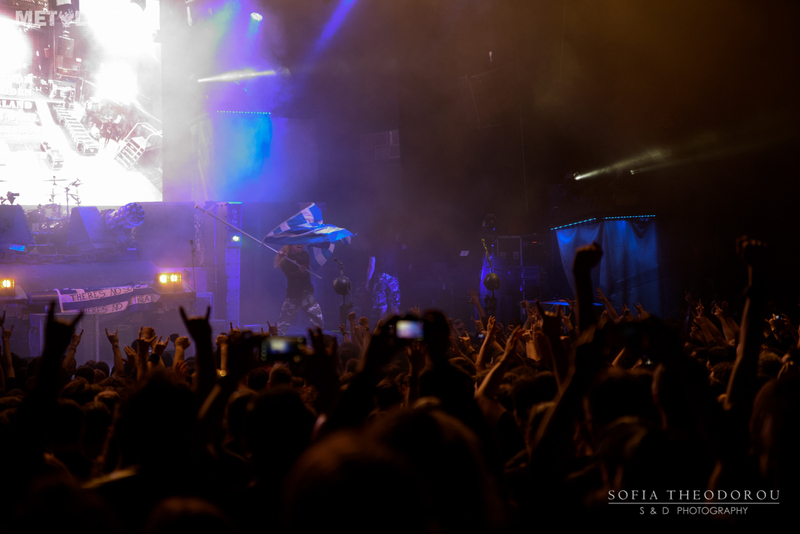 It was a really nice something to get the crowd going, which welcomed them so warmly. And that was just the warm up. 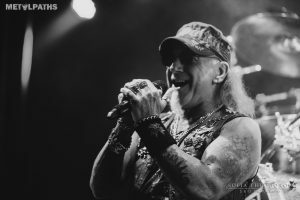 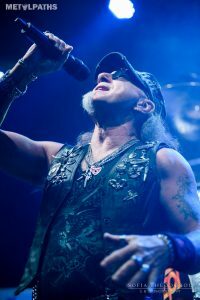 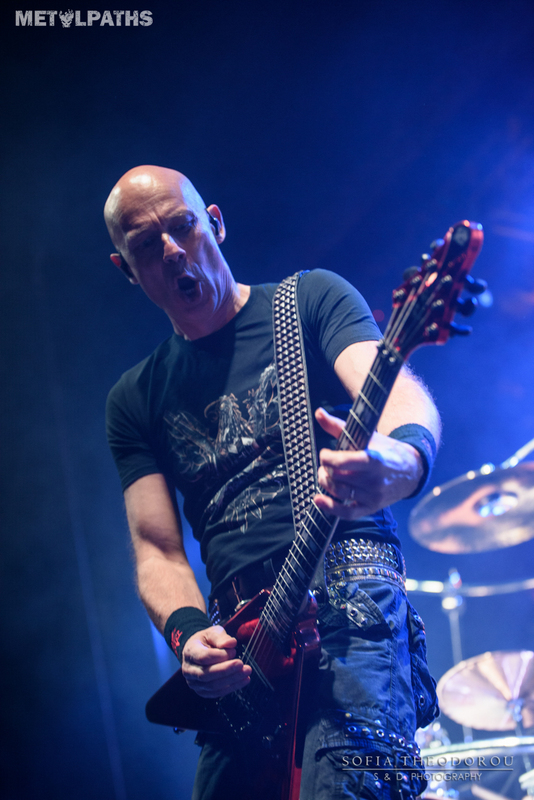 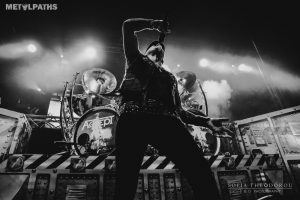 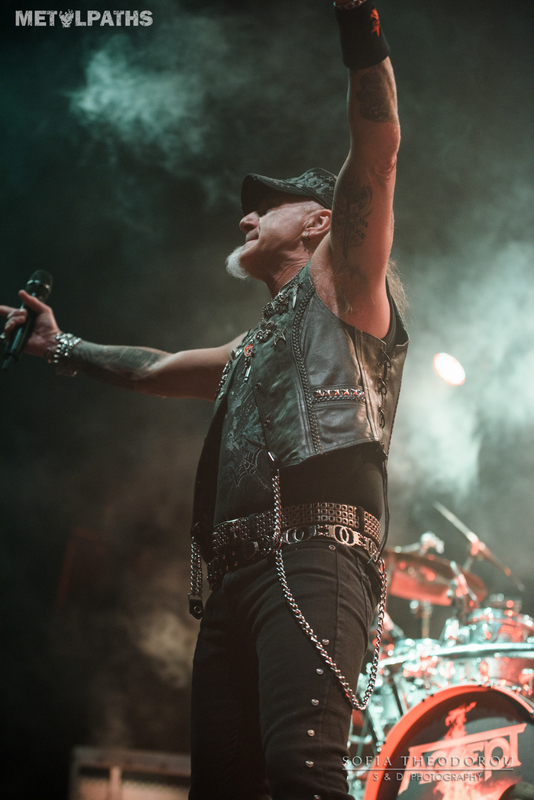 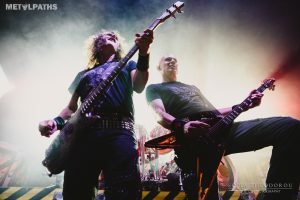 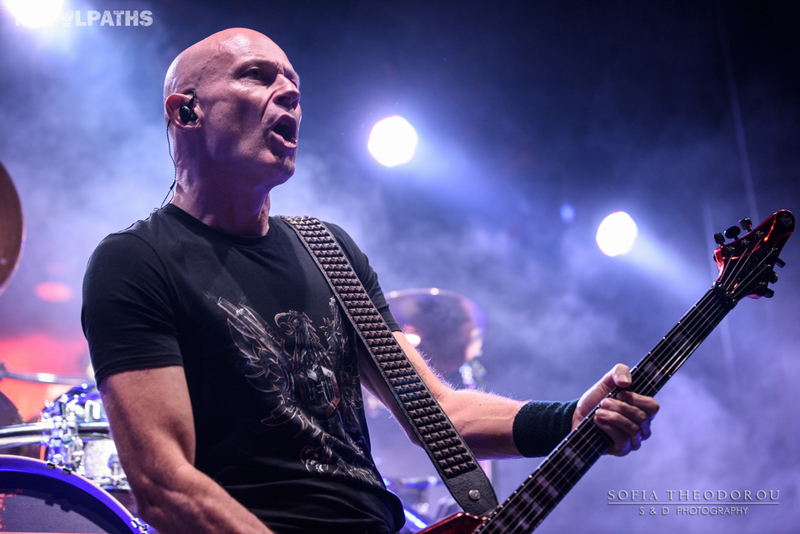 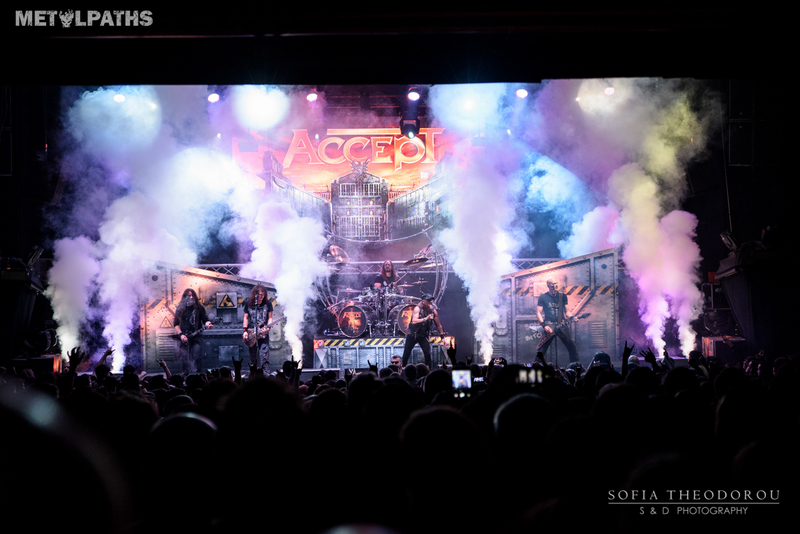 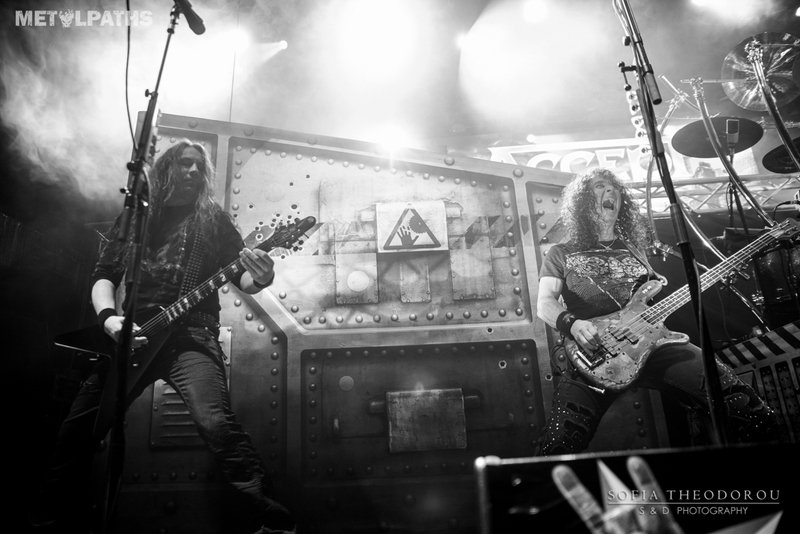 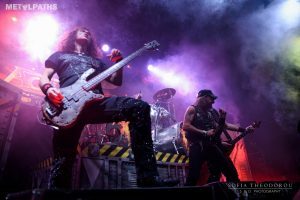 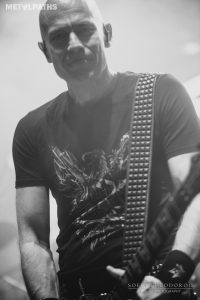 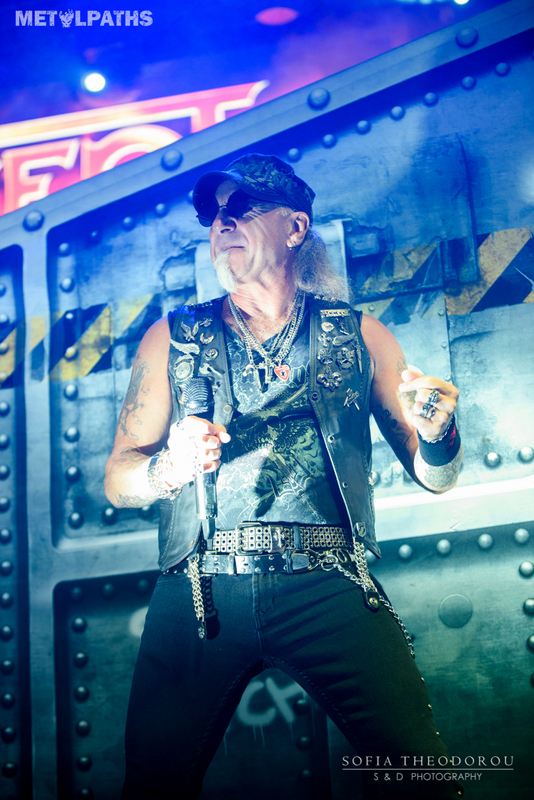 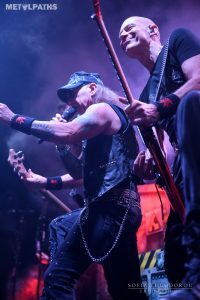 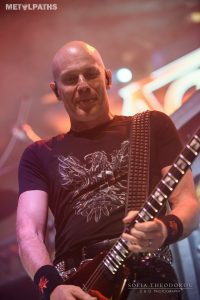 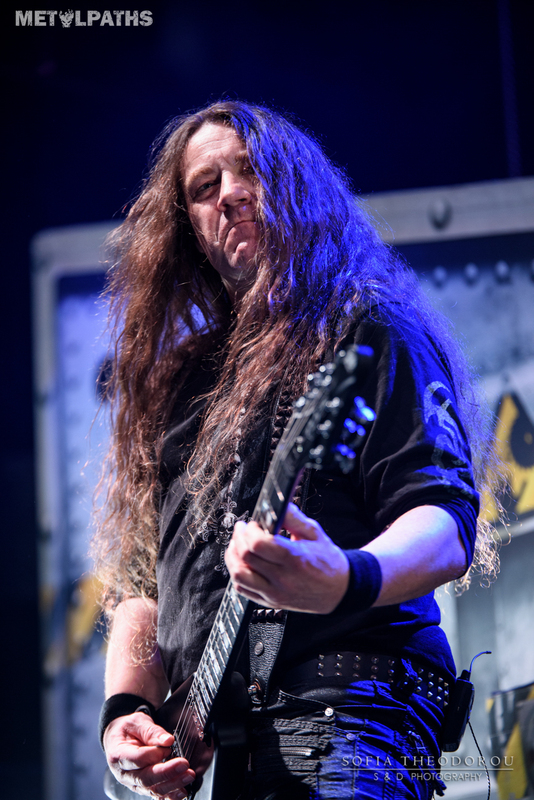 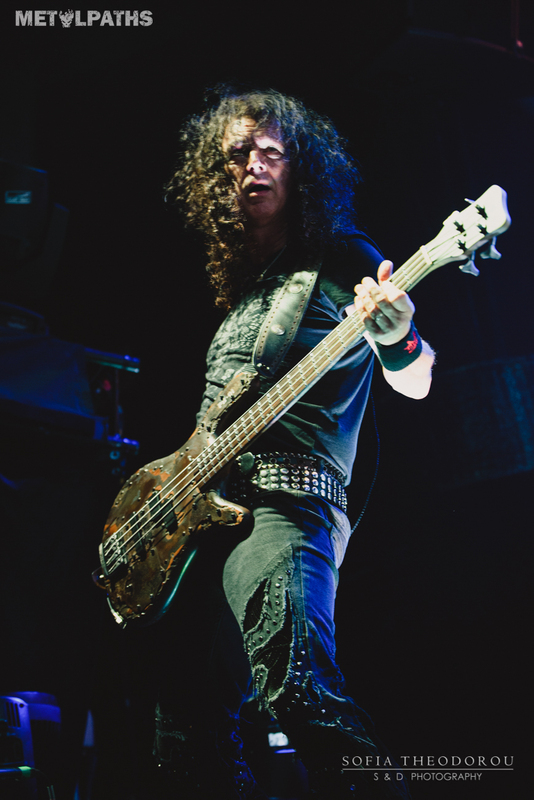 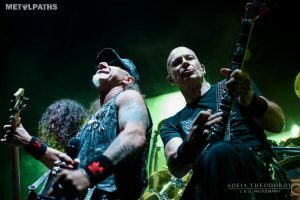 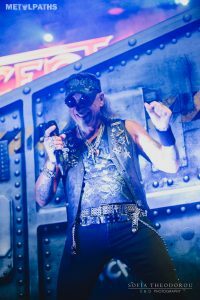 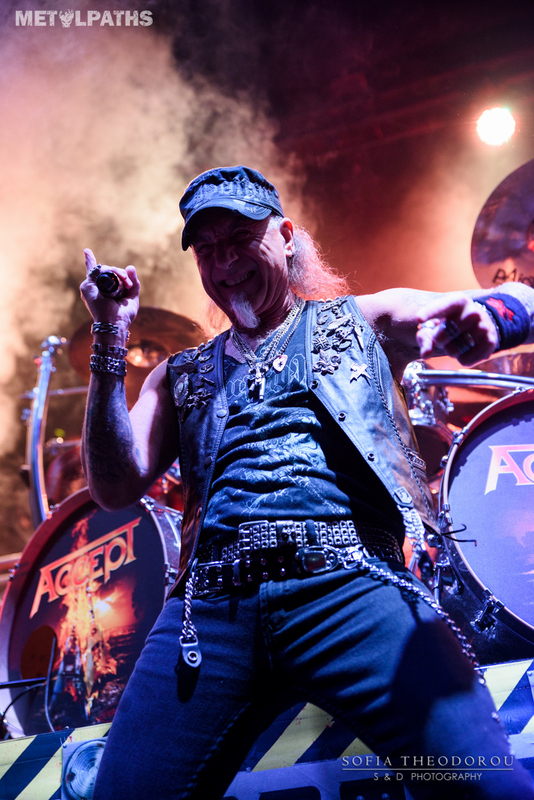 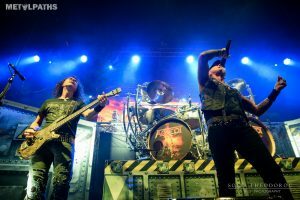 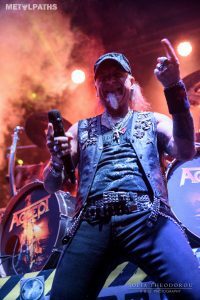 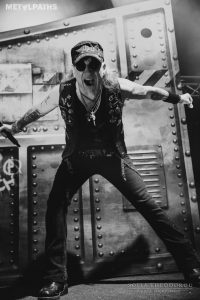 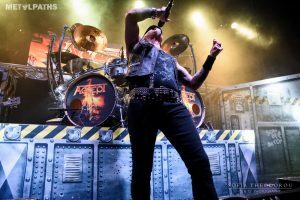 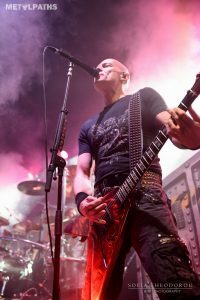 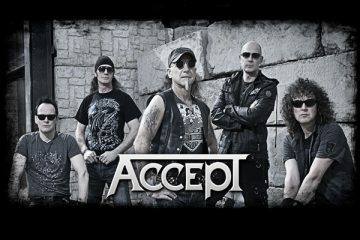 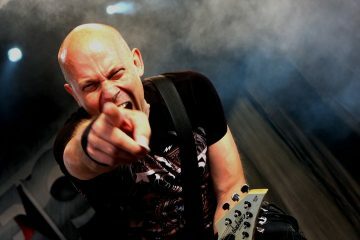 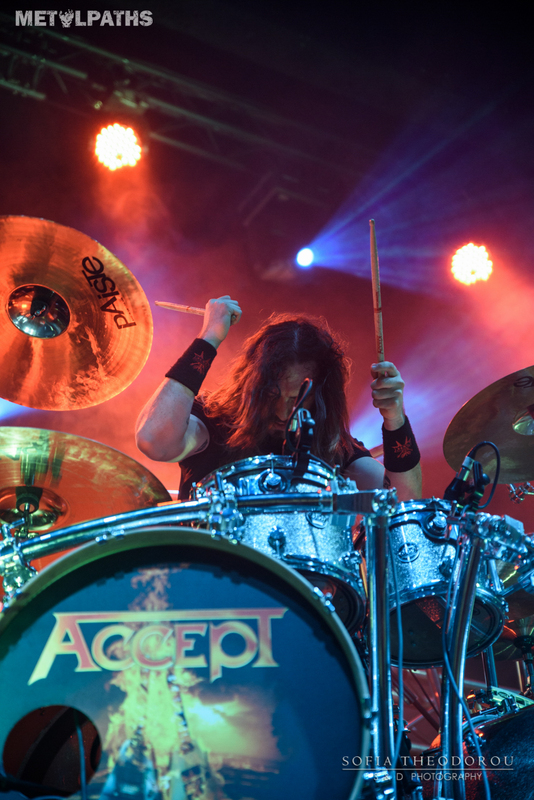 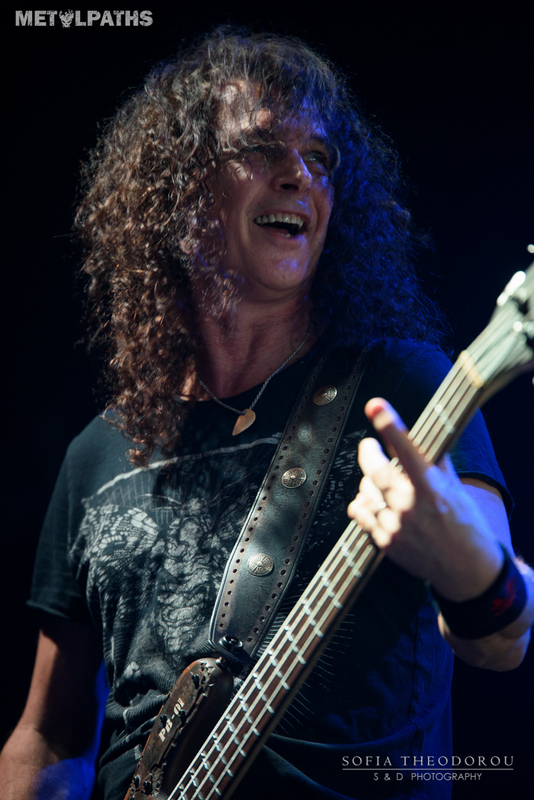 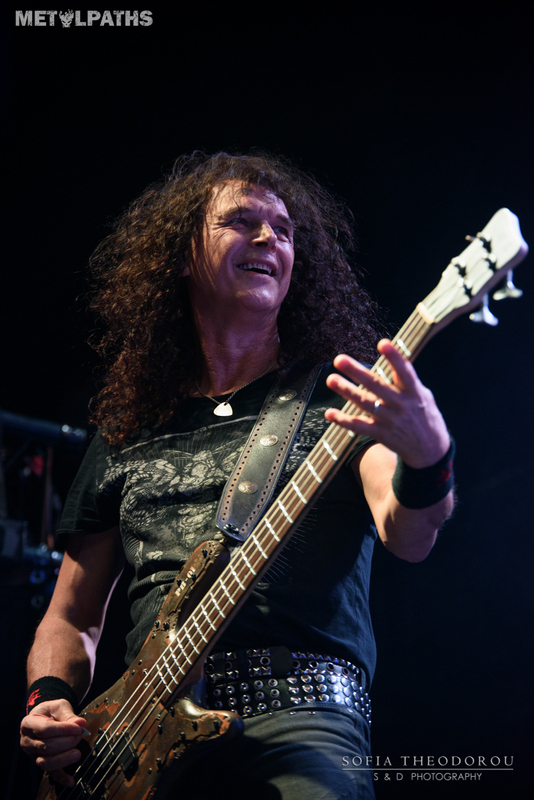 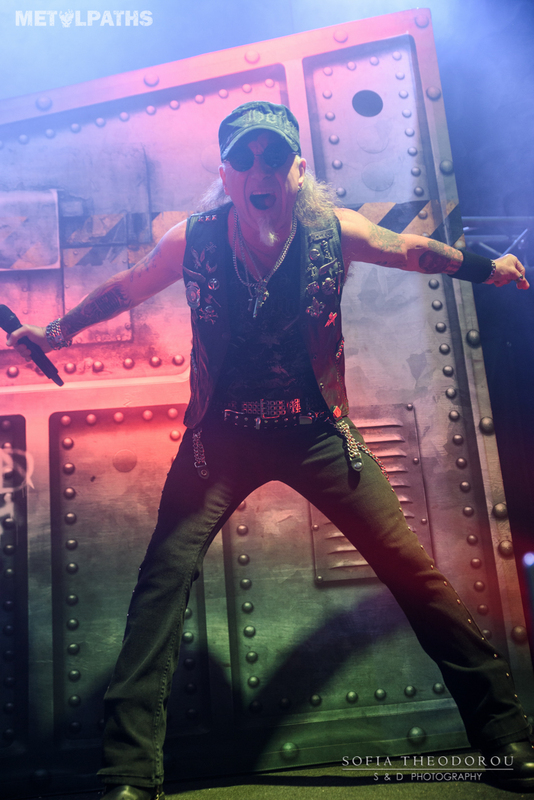 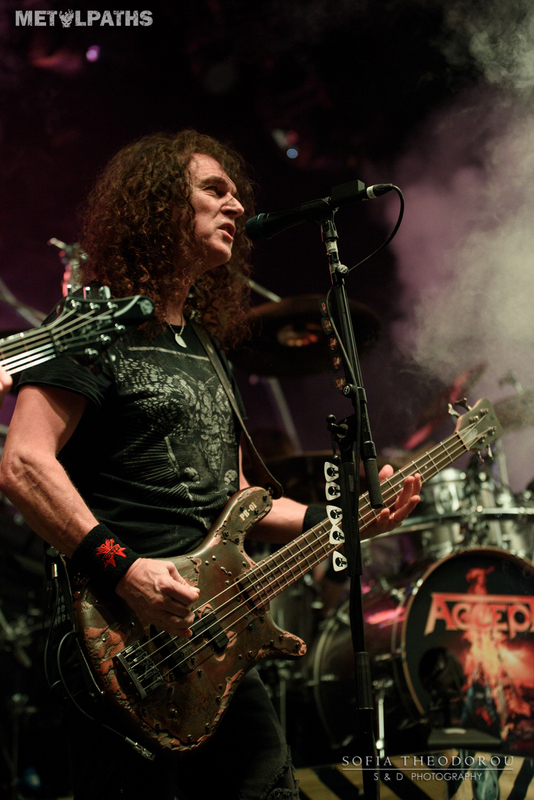 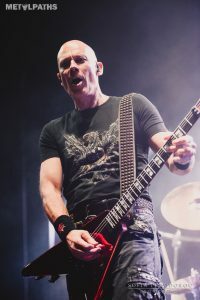 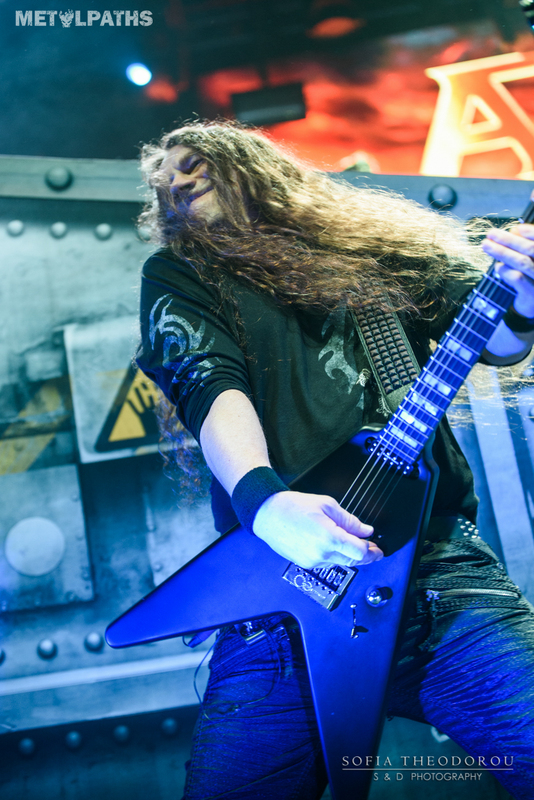 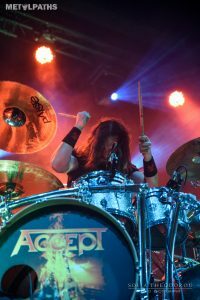 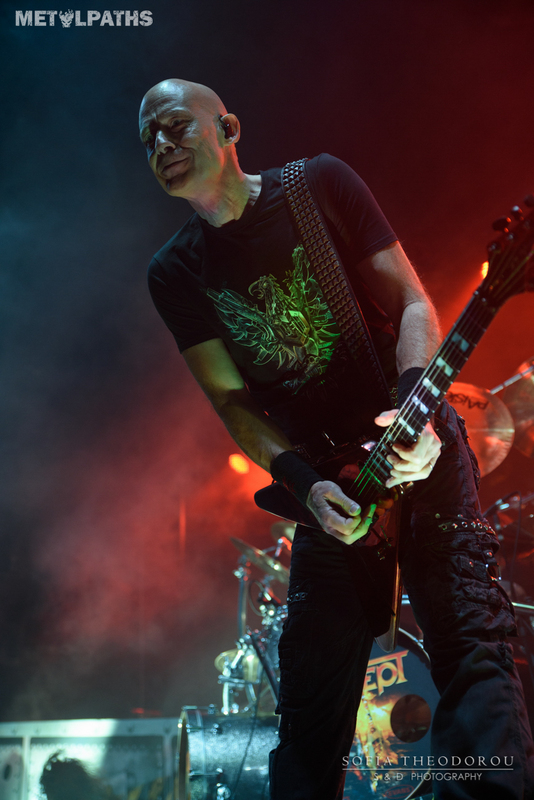 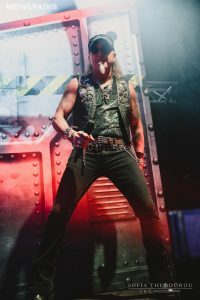 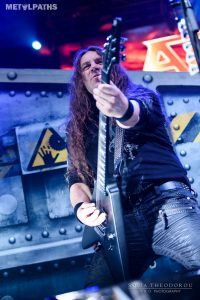 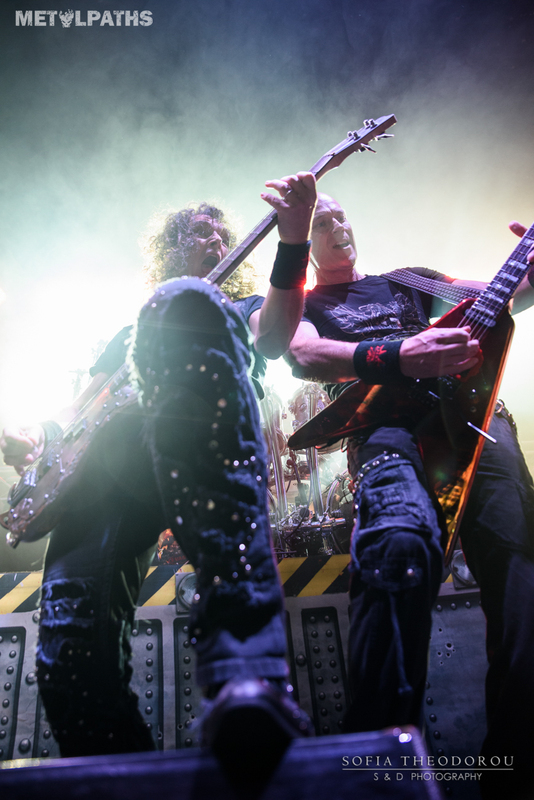 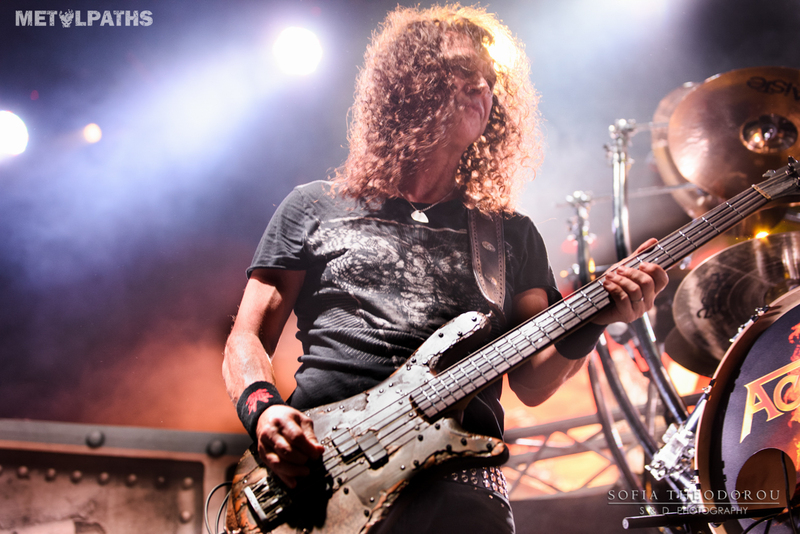 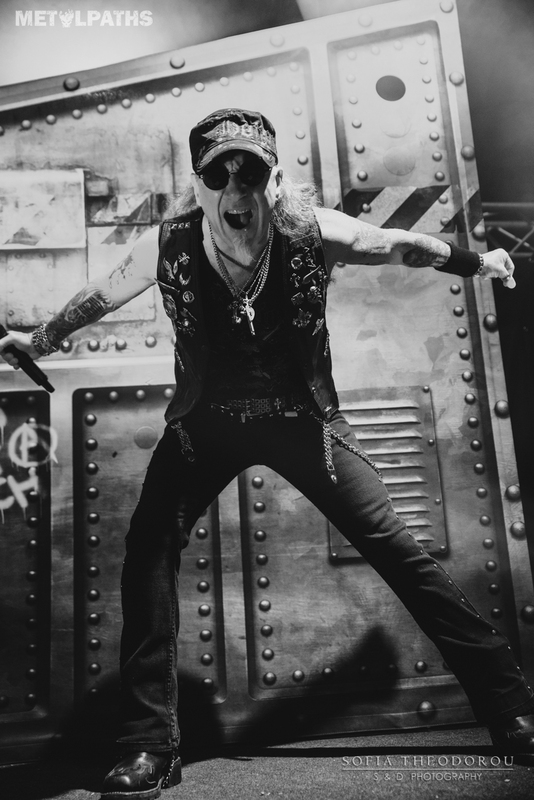 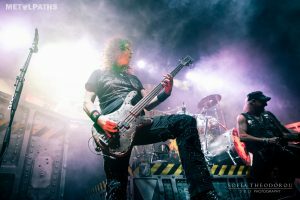 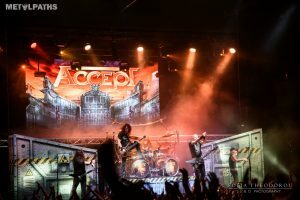 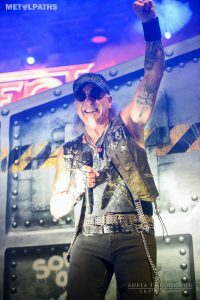 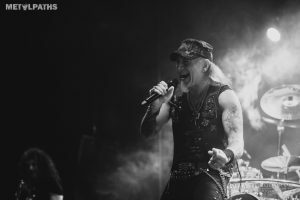 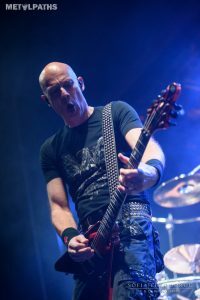 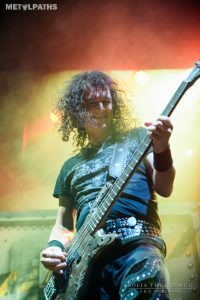 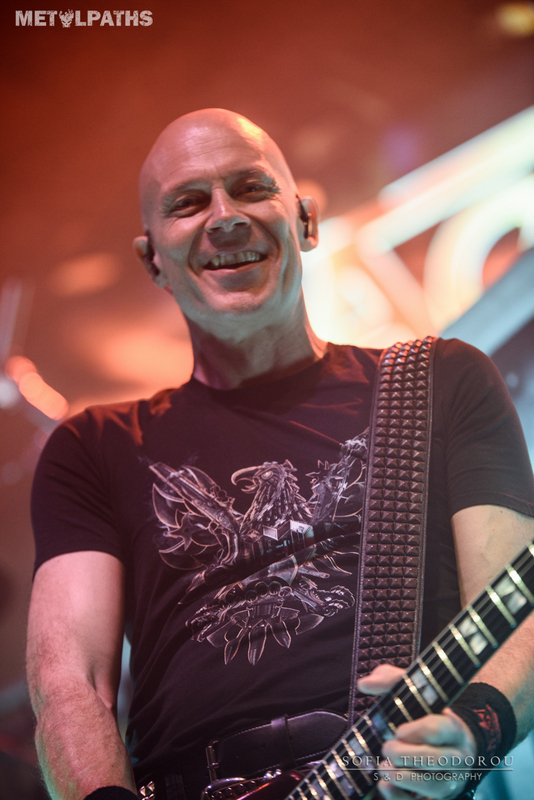 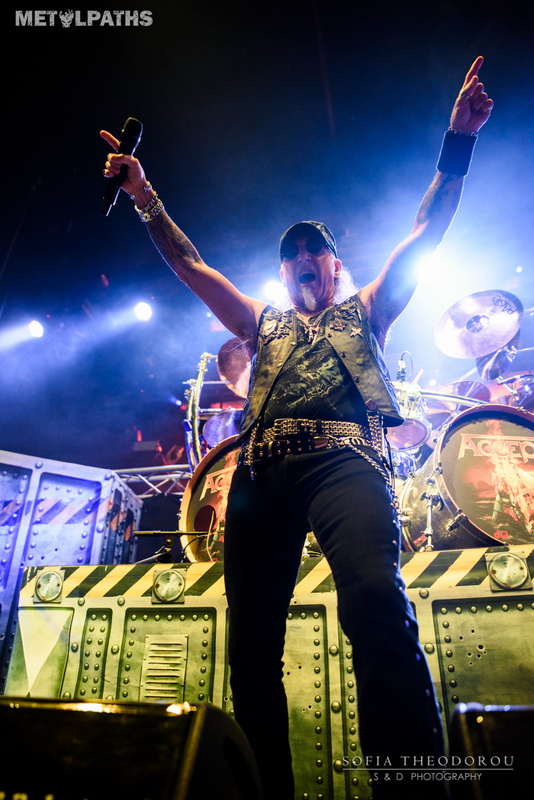 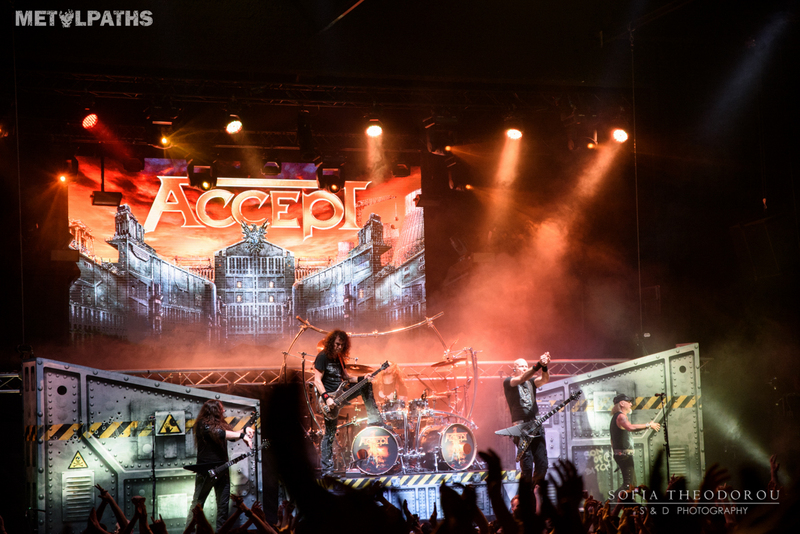 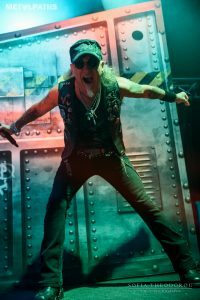 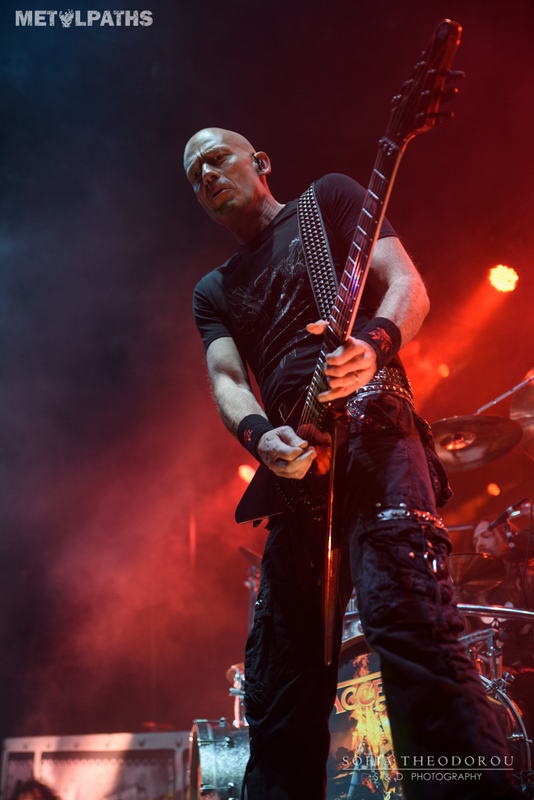 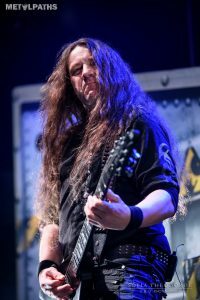 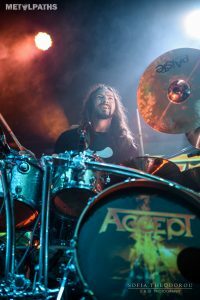 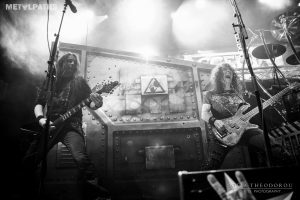 ACCEPT, being the oldest of the package, had the objective of appealing to the much younger crowd, that had probably never heard or seen Accept live. 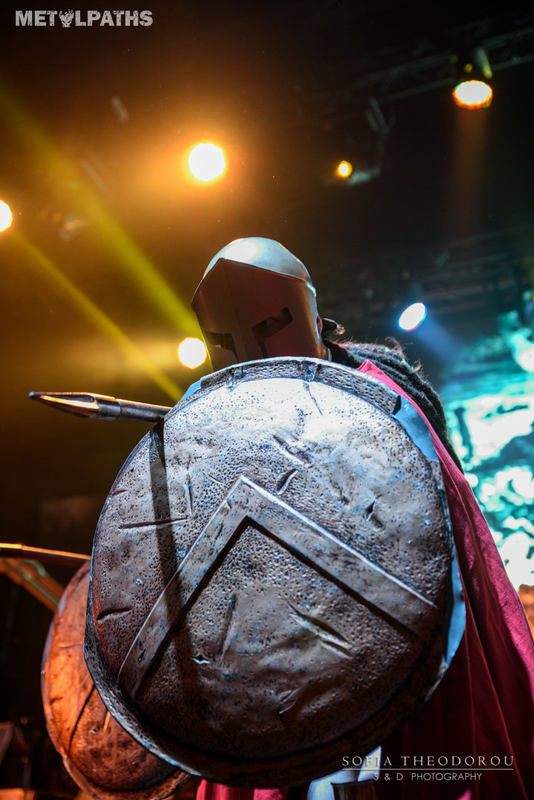 A smart move on their behalf, even if that meant a smaller set. 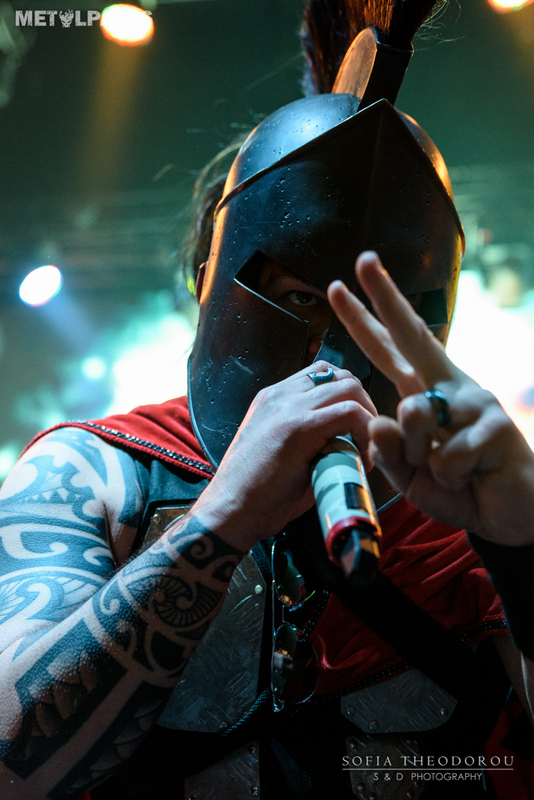 Besides, for those moaning about it, they’ll come back with the follow-up to “Blind Rage”. 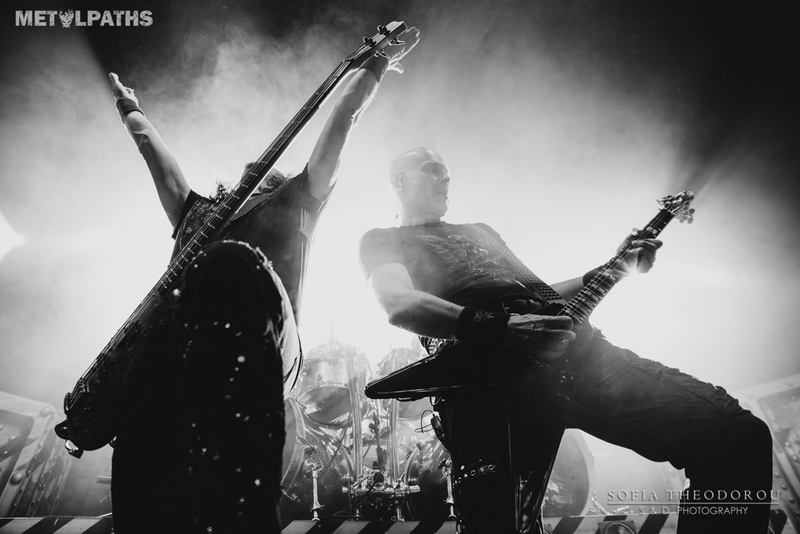 As for their playing, not much can be said. 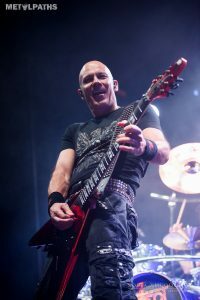 ACCEPT deliver heavy metal lessons, on how this music should be played live, it’s an incredible thing to watch. 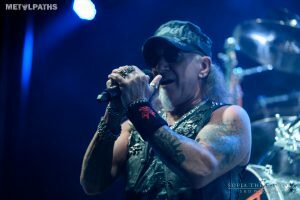 Guys in their early 60’s headbanging like 20-something kids, with the one and only Mark Tornillo leading the pack. Packing in about an hour as many classic anthems as they could (“Metal Heart”, “Balls To The Wall”, “Princess Of The Dawn”, “Fast As A Shark”, “Restless And Wild”, “London Leatherboys”) as well as newer more recently loved tracks (“Teutonic Terror”, “Stampede”, “Final Journey”, “Stalingrad”), they whipped the crowd into a frenzy. 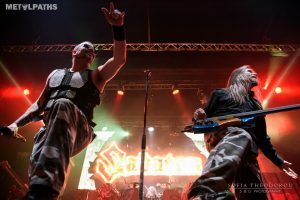 It was amazing to see young kids with Sabaton t-shirts headbanging next to old-schoolers who were probably seeing Accept for the n-th time. 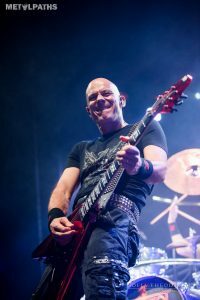 And who can’t love legendary bands that play sing-along games with the audience as Accept did in “Princess Of The Dawn” and “Metal Heart”? 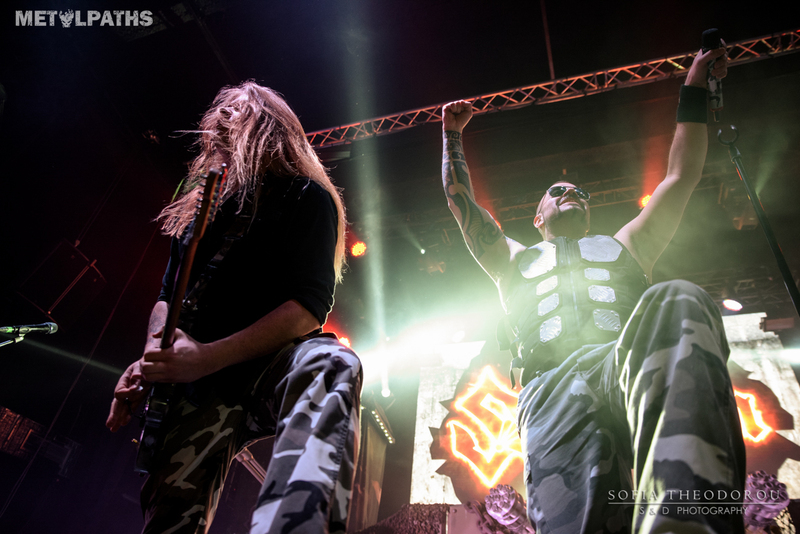 Then it was time for SABATON. 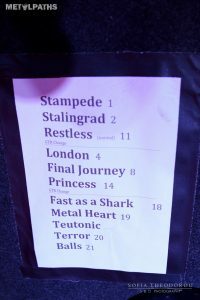 4th time for me seeing them, so I sort of knew what to expect. But here’s the amazing thing about this band: say WHATEVER you want about their music, say WHATEVER you want about their lyrics. 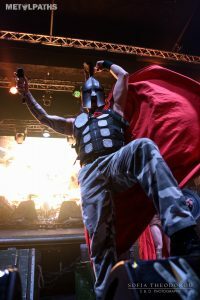 But I can’t possibly think of another band of their age in their genre of metal that can top their live performances and their level of ability in entertaining big audiences. 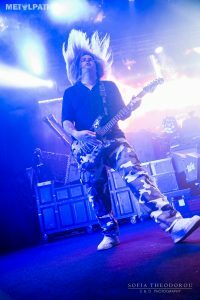 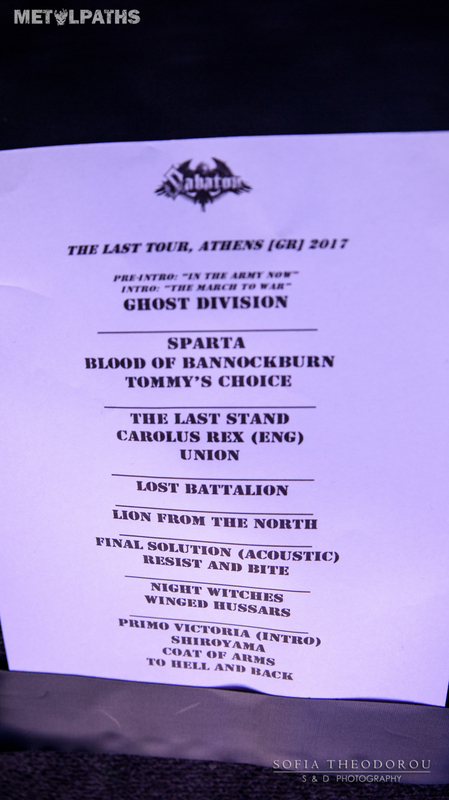 “Alright Athens, we are Sabaton from Sweden, and this is Ghost Division!”. 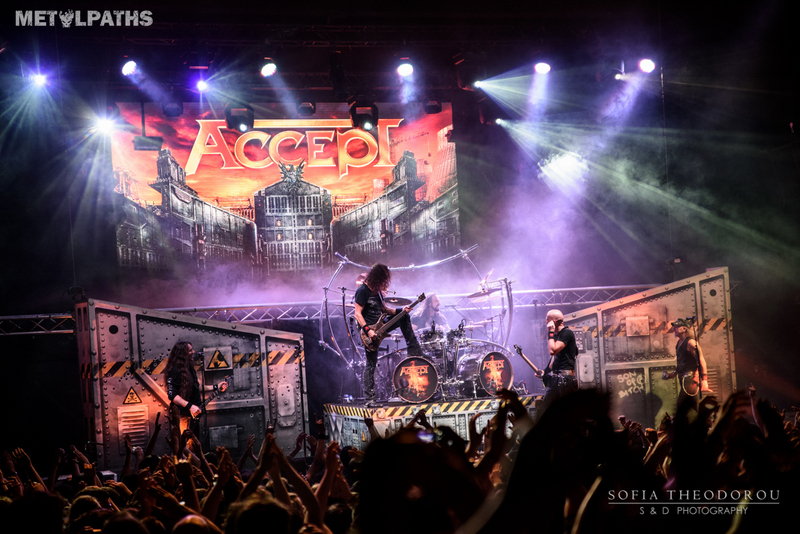 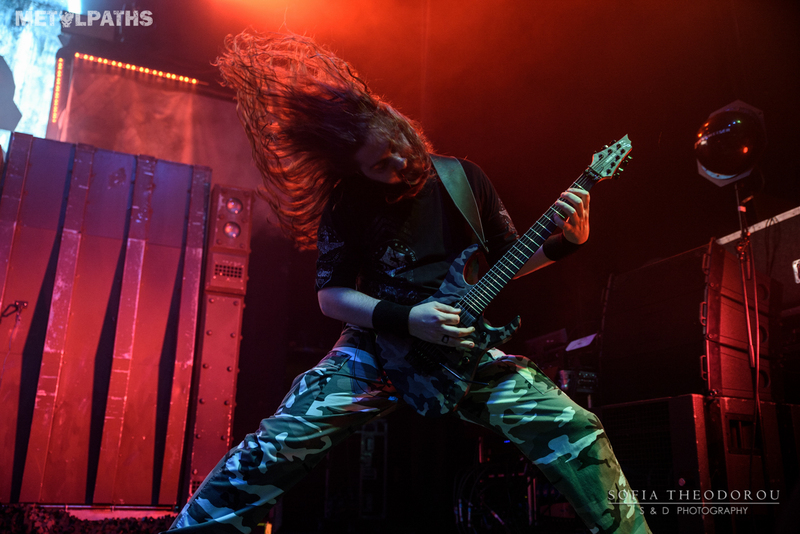 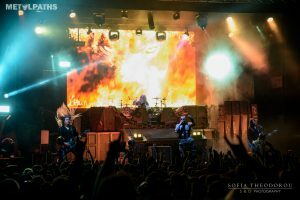 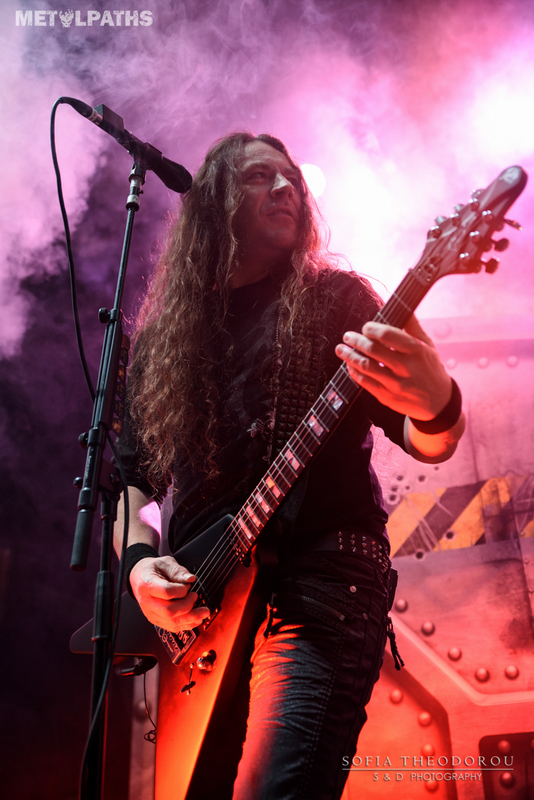 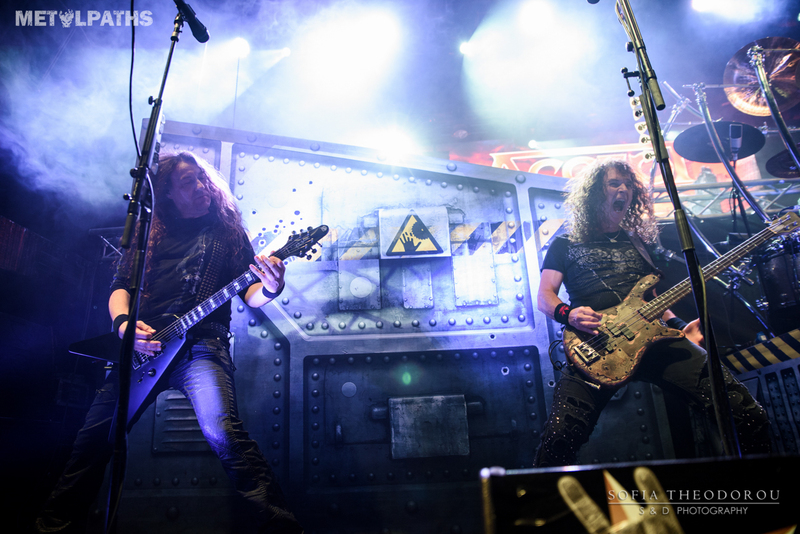 Piraeus Academy was simply set on fire! 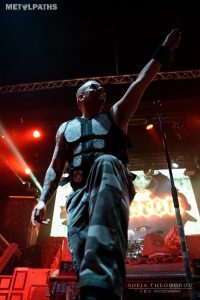 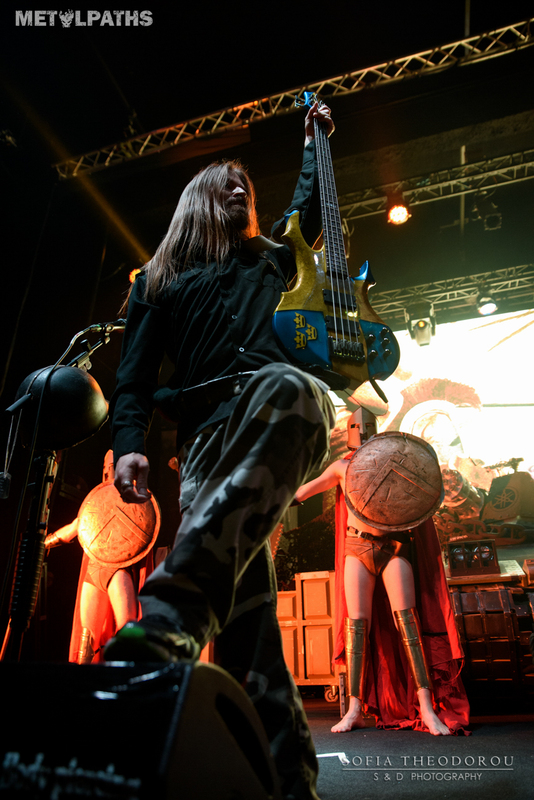 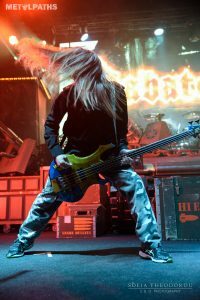 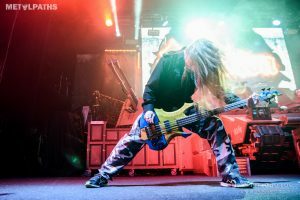 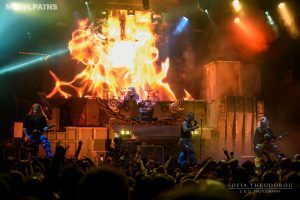 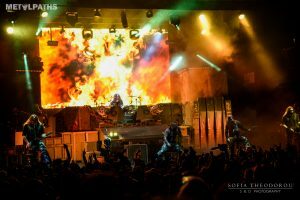 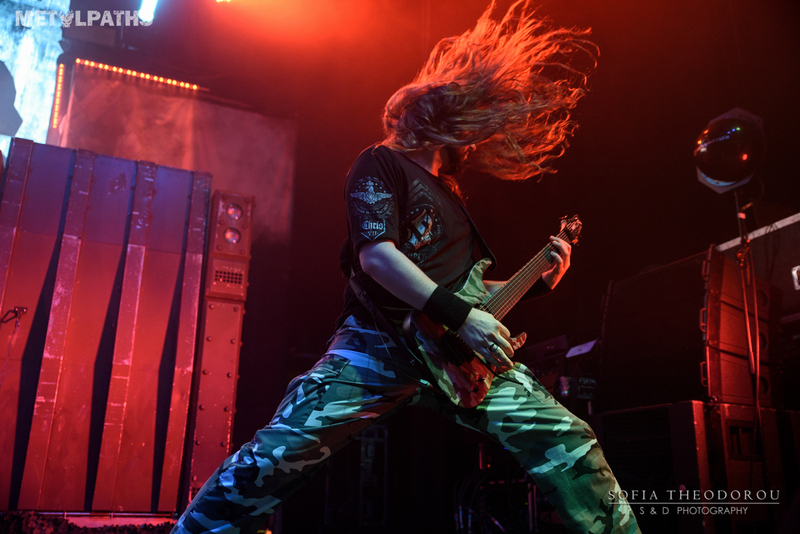 Moshing, singing along, the vibe was incredible, the visuals behind the band were magnificent, and the on-stage tank we first saw in 2015 has become more of a Sabaton trademark. 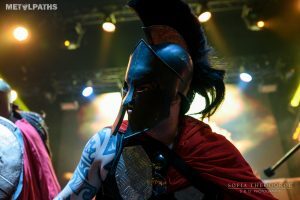 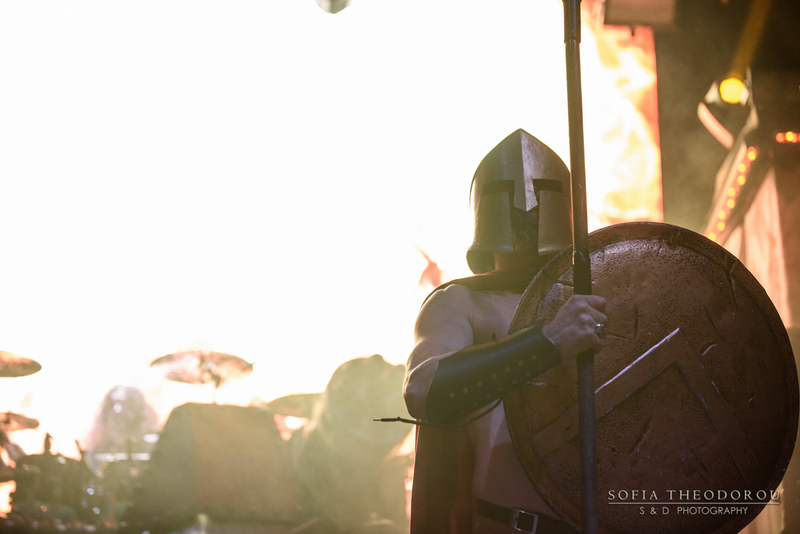 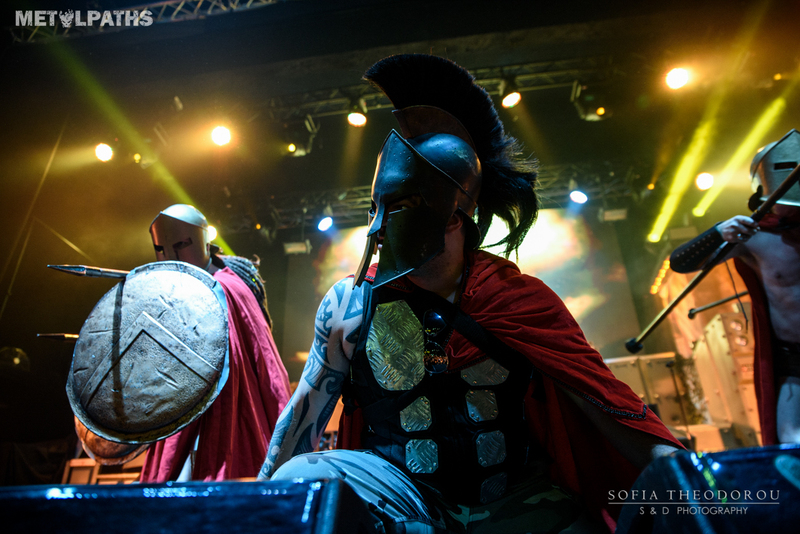 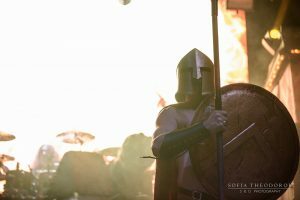 “Sparta” followed with the presence of actors dressed as Spartan warriors with the crowd going insane. 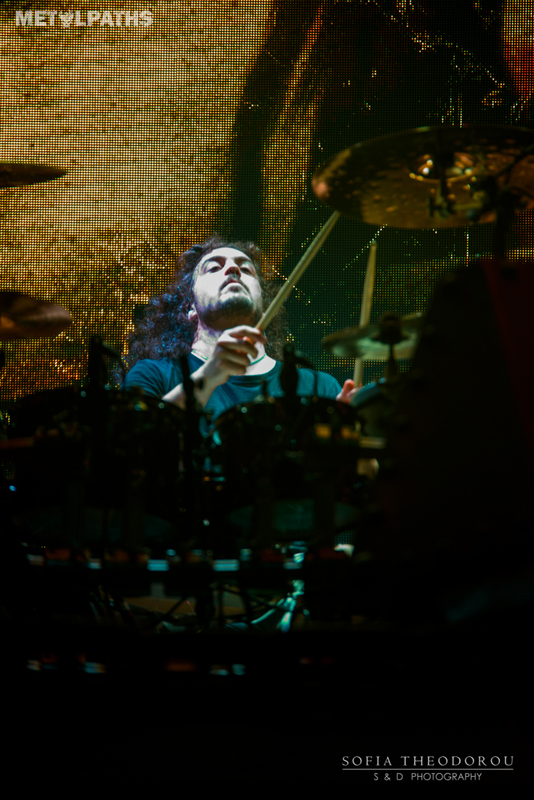 I can sincerely believe that Joakim Broden is always surprised by how the Greek audience reacts to their music. 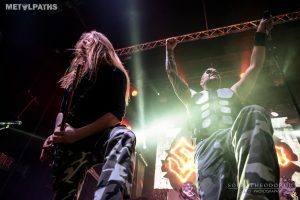 Lots of great vibes as well as grown people singing along to Sabaton stuff, probably won over by their showmanship apart from their music. They honored their latest album “The Last Stand” (“Battle Of Bannockburn”, “Diary Of An Unknown Soldier/The Lost Battalion”, “The Last Stand”, “Shiroyama”, “Winged Hussars”) as well as many concert classics (“Swedish Pagans”, “Coat Of Arms”, “Carolus Rex”, “To Hell And Back”, “Primo Victoria”, “Resist And Bite”, “Night Witches”) that were highly demanded by the audience. 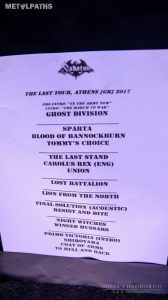 Lots of surprises as well (“The Lion From The North”, “Union (Slopes Of St. Benedict)”).A funny moment of the gig, is the way that Joakim calls their new guitar player a “malaka” and says “it’s a word commonly used among Greeks as a way to say cheers”, then the guitar player turns to us and says “MALAKAS”. After that, one of the most beautiful moments of the gig followed: “The Final Solution” acoustic. 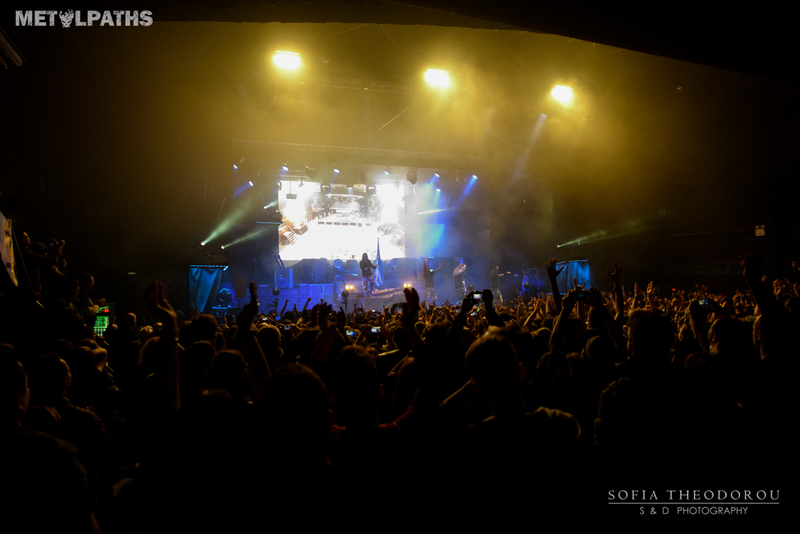 Lighters all the way back, almost no cell phones, a goosebump-inducing spectacle. 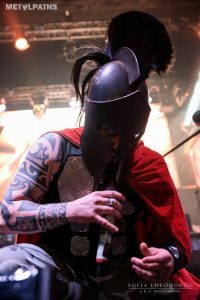 A proper way to embrace an acoustic ballad. 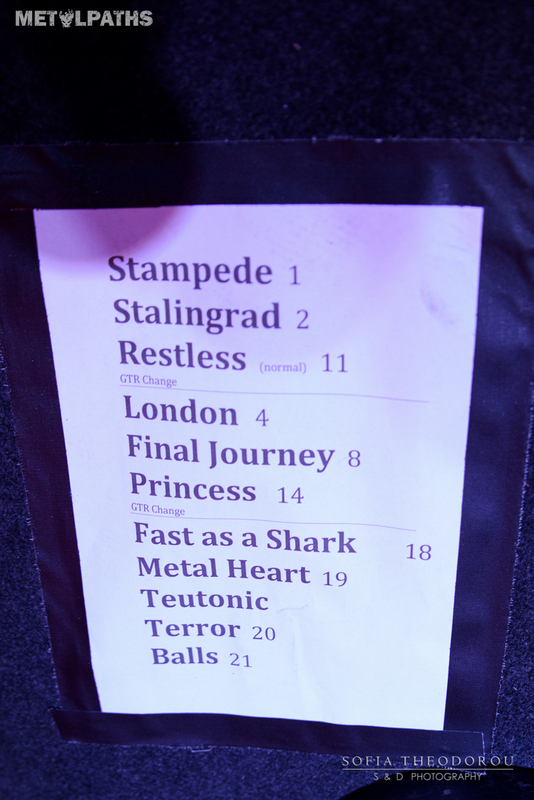 Only downside of the gig, the unusually expensive merchandise. 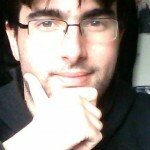 Somebody should give them a heads-up on what’s going on in Greece financially. After an hour and a half they all left the gig with a huge smile on their faces, thanking all three bands for that beautiful experience, and wish for such gigs, so exceptionally organized and with such skillful entertainers to happen more and more often. 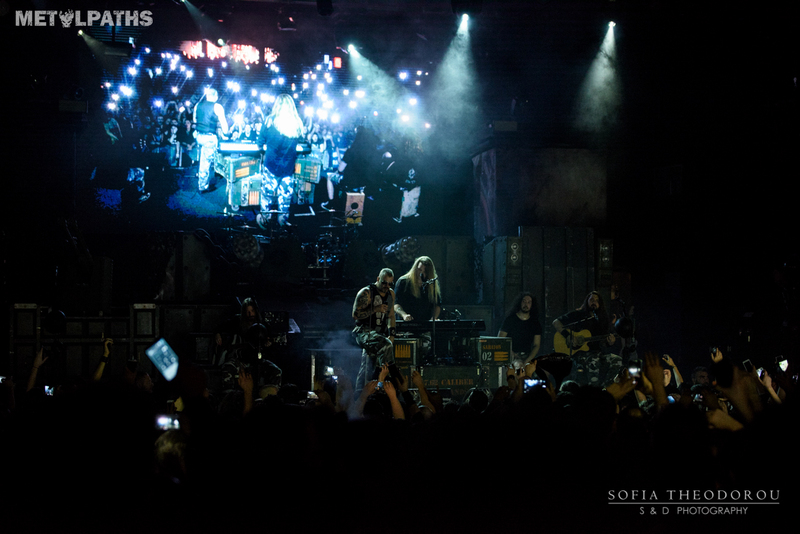 Our music needs them. Cheers!